The beautiful landscape of Gavi. Many of you who read these pages regularly will know how much I like Italian wines. Some of you will also know that I bang on rather a lot about how much better wines are nowadays than in the past – especially the whites from places that are traditionally well known for quality reds in the past, places like Spain, Portugal and Italy. Italian white wines are generally of a very high standard in my experience and far more interesting and sophisticated than their reputation would have you believe. In recent months I have enjoyed some superb Soave, Colli Berici, Verdicchio – and click here , Lugana, Gambellara, Fiano, Falanghina and Greco from Campania, as well as those wonderful crisp dry whites of Etna in Sicily. Gavi is another interesting Italian white wine and is now quite widely available, certainly more than most of the wines mentioned above, and has almost broken free of the Italian ghetto to be known as a style in its own right. It is nowhere near as famous as Pinot Grigio or Sancerre of course, but you occasionally get it mentioned in novels or hear the name in television dramas. However, as with most wines, there is Gavi and there is Gavi. It will never let you down in my experience, but can, like so many wines, occasionally be a bit dull, dilute even. The answer to that is to drink a well made wine from a good producer. Sadly most of the time price is a pointer to quality, there are exceptions, but on the whole never drink the bargain basement version of a well known wine – or if you do, manage your expectations. Gavi itself is a town in Piemonte, north west Italy, but until 1815 its powerful fortress formed the northern defences of the Republic of Genoa. Luckily, thanks to the EU and European integration – a little bit of politics – war has left this place alone since 1945 and today Gavi is a rather lovely, sleepy little town of narrow streets, café lined squares and those amazing fortifications of old. Nowadays of course it’s fame lies in the wine that bears its name. Gavi is the only important wine made from the Cortese grape. 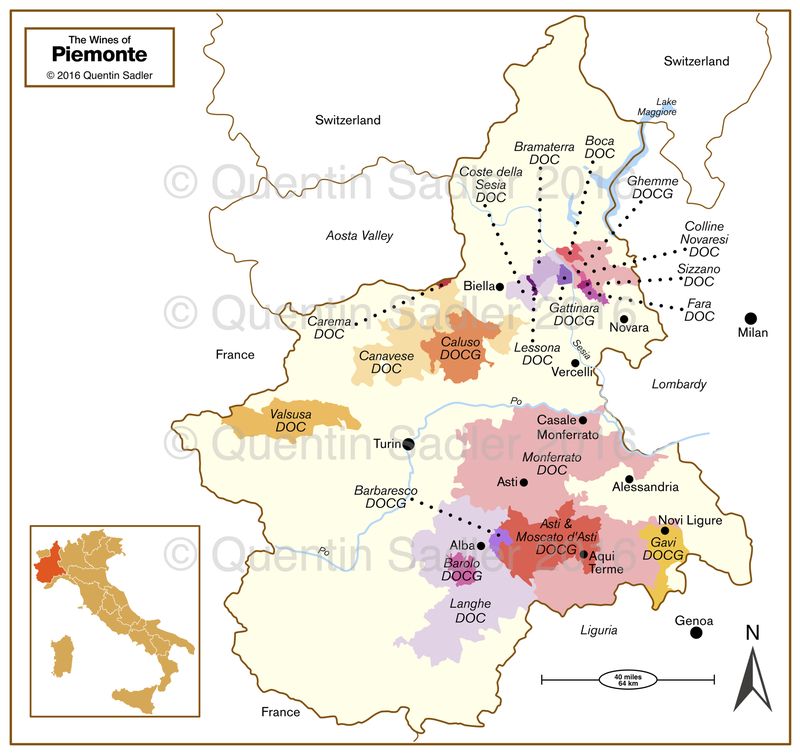 There is a tiny bit here and there, but just this tiny patch of Piemonte specialises in it. 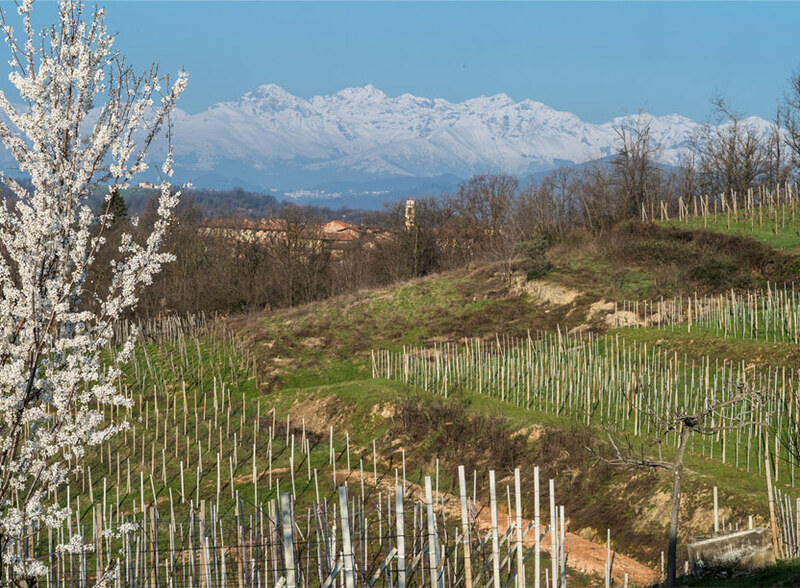 Cortese is also grown in the nearby Colli Tortonesi and Monferrato regions as well as in the provinces of Cuneo, Asti and the wider areas of Alessandria to make the slightly more humble wines labelled as Cortese del Piemonte DOC. 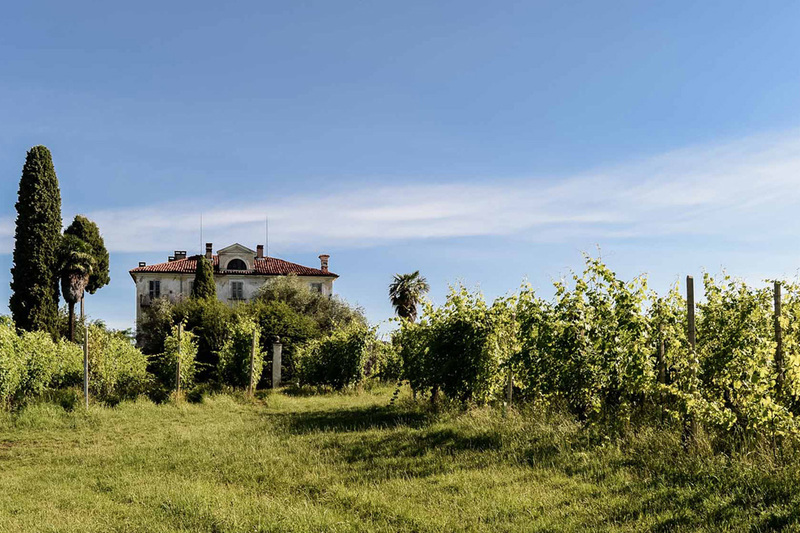 Outside Piemonte Cortese can be found in Lombardy’s Oltrepò Pavese region and it is also cultivated around Lake Garda where it is used to produce Garda Cortese as well as being used in the blend of Bianco di Custoza. I have also had one Cortese from Australia that was very enjoyable, but I am surprised, given what nice wines can be made from Cortese, how little the grape is grown and known around the world – although it is slowly becoming more widely known. 11 communes, plus Gavi itself, make the wine called Gavi and despite its popularity there is no such wine as Gavi di Gavi and that term should not appear on labels. If a wine comes from fruit grown in just one of the communes able to make Gavi then it can be labelled as Gavi del Commune di Gavi – or Rovereto, Bosio, or Carrosio, or Capriata d’Orba, or Francavilla Bisio, or Novi Ligure, or Parodi Ligure, or Pasturana, or San Cristoforo, or Serravalle Scrivia, or Tassarolo. What’s more these form a single DOCg, they are indivisible and are considered to all be of the same quality – unlike Chianti and Chianti Classico for instance which are separate DOCgs. 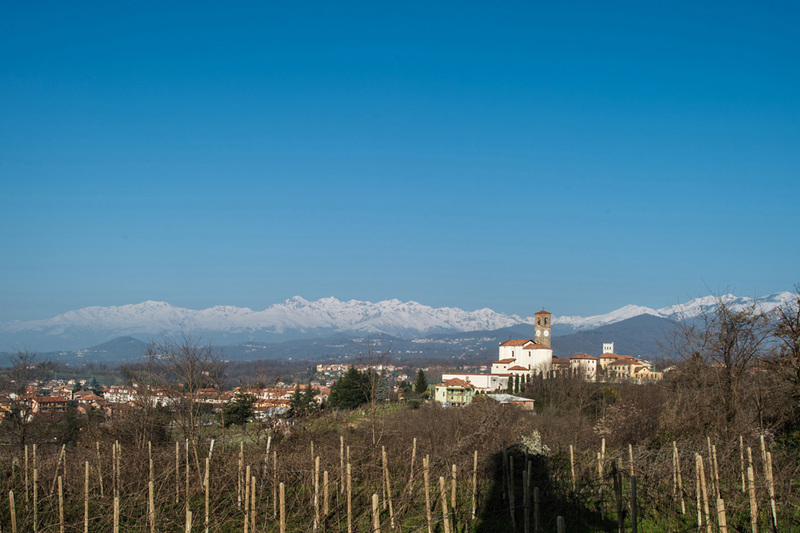 The countryside around Gavi is quite beautiful and the slightly high land – around 300 metres asl – and the surrounding mountains channel cooling breezes off the sea and the nearby alps to cool down the vines and create really good conditions for white wine. While the southern exposure ensures they catch the sun to get excellent ripeness. Add all that together with the white wine technology that came in during the 1970s-1980s and you can see why Gavi has made a name for itself in recent years. 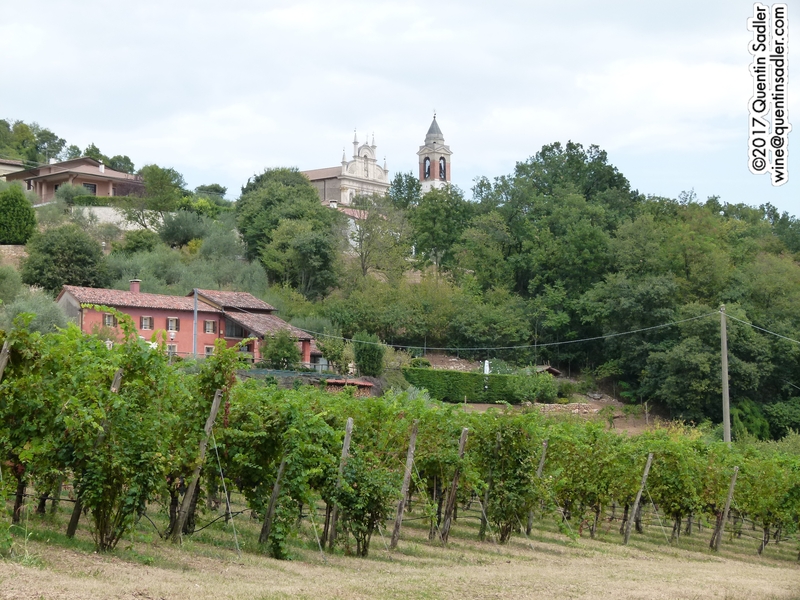 It cannot be a hinderance either that nearby Alba, Asti, Barolo and Barbaresco all enjoy reputations for high quality wine and so the infrastructure for export is close at hand. Anyway, long story short, the other day I drank a stunning bottle of Gavi that spoke to my soul and so I have made it my Wine of the Week. I really like the wines of Castellari Bergaglio and have been meaning to write about them for a while. They produce exemplary Gavis and what’s more make a fascinating range too. Ardé, their traditional method sparkling Gavi is very good and their standard Gavi, called Salluvi, is exceptional at the price. However the wineries true stars are their special cuvées. Pilin is made from partially dried grapes, Fornaci is a Gavi del Commune di Tassarolo and Rovereto is a Gavi del Commune di Rovereto. They even make a sweet passito wine called Gavium, so produce a lot of varity for a single grape variety grown on just 12 hectares. Castellari Bergaglio was founded in 1890 and today is run by 4th generation Marco Bergaglio and although he clearly loves the place his wine comes from and is steeped in the area, he also likes to experiment and push the boundaries of what constitutes a Gavi. He tries to balance tradition and modernity to great effect in my opinion. The fermentation is long and slow at moderate rather than cool temperatures – 18-20˚C, which allows for lovely flavours and delicate textures to develop on the palate. This textural component is helped by the lees ageing. 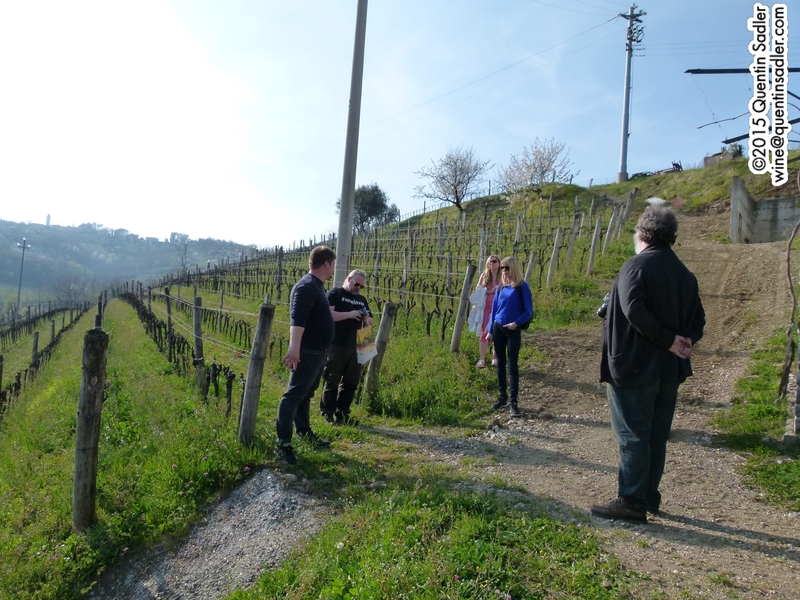 Marco Bergaglio (right) in his vineyards – photo courtesy of the winery. 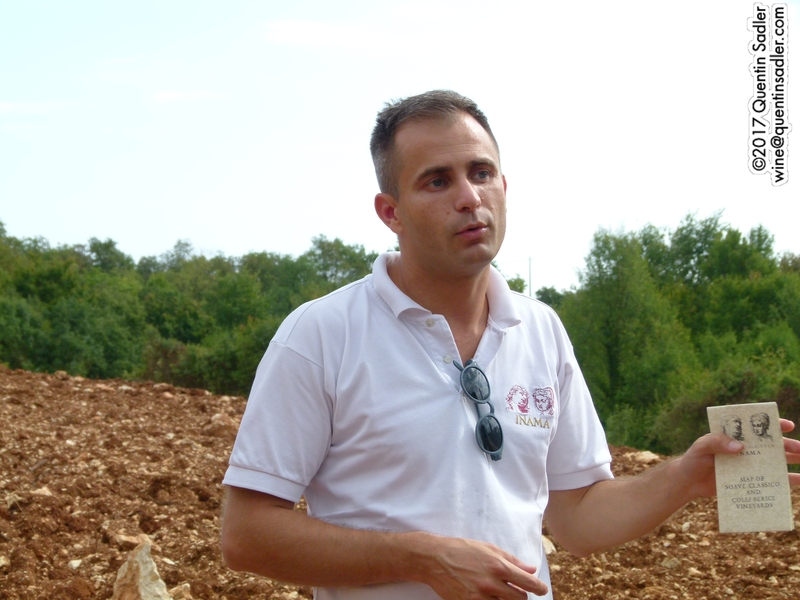 The Rolona is perhaps the most pure of his range and indeed the Rolona vineyard has chalky soil. The aromas are delicately floral, orchard fruit, straw, perhaps a touch of dry honey, earth and wet stone. The palate is crisp with an underlying richness, succulence and concentration that shows what a high wire act the wine is. It is detailed and beautifully crafted in miniature. The minerality really suits it, as does the lemon and tangerine edged citrus and the sheer vitality of the wine. 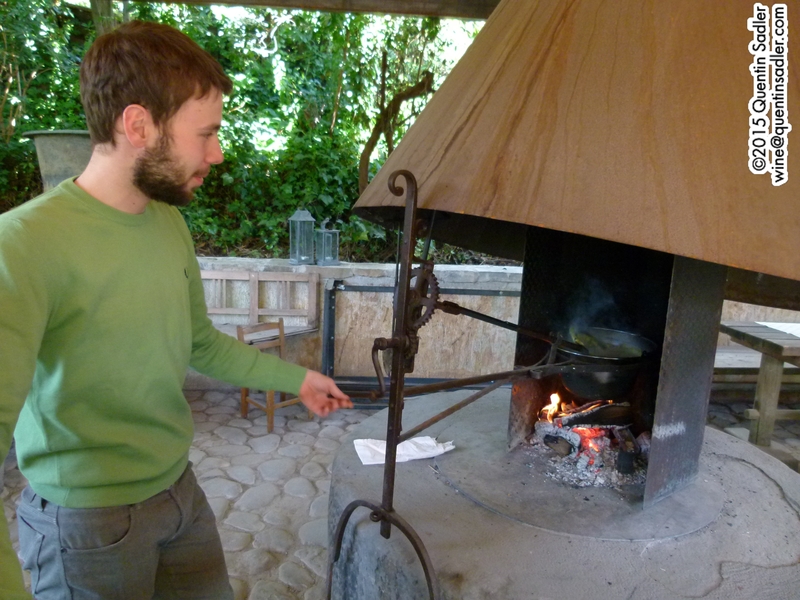 All the books and all the wine courses make great play about how high the acid is in Gavi, that simply is not true. It isn’t low acid that’s for sure but, but it is usually tempered by the ripeness of the fruit and this wine is no exception. I enjoyed it so much that I simply cannot tell you how quickly the bottle emptied itself. It’s lovely on its own or with some shellfish or delicate fish like seabass – 92/100 points. Available in the UK @ around £14 per bottle from The General Wine Company and It’s Wine Time. More stockist information is available from Grape Passions. Lessona – photo courtesy of Tenute Sella. In recent months I have become seriously obsessed by the wines of Italy and I think with good reason. There is such variety, such diversity and such pleasure to be had. So much so in fact that I have been giving some tastings called Hidden Corners of Italy that shines a little light on the areas of Italy that people might not encounter all that much. 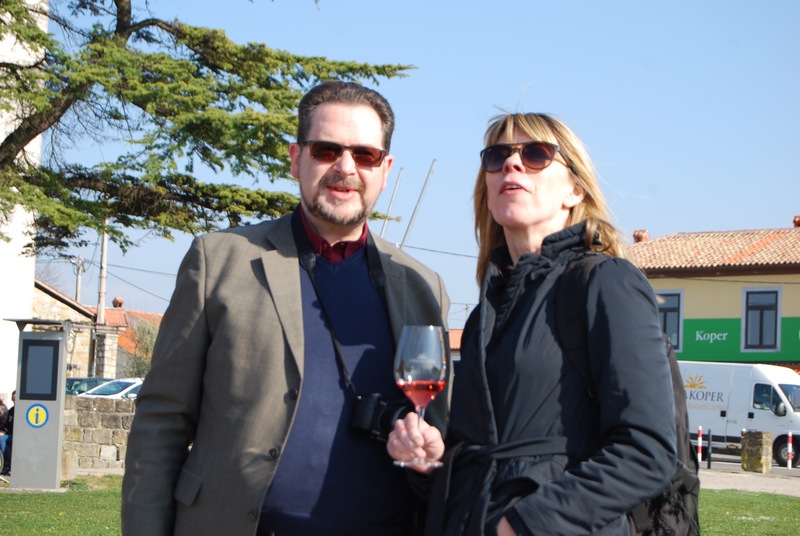 The wines really seem to have captured people’s imaginations and opened their eyes as to the huge variety that Italy offers. I have shown some stunning sparkling wines, wonderful whites and fine complex reds and will write about them all very soon. However one red in particular showed extremely well recently and I noticed that it is once again available in the UK, so thought that I would make it my Wine of the Week. It comes from Piemonte, which would normally be regarded as a far from hidden corner of Italy, but it actually comes from the north of the region up towards the Alps from a little known PDO / DOC called Lessona. 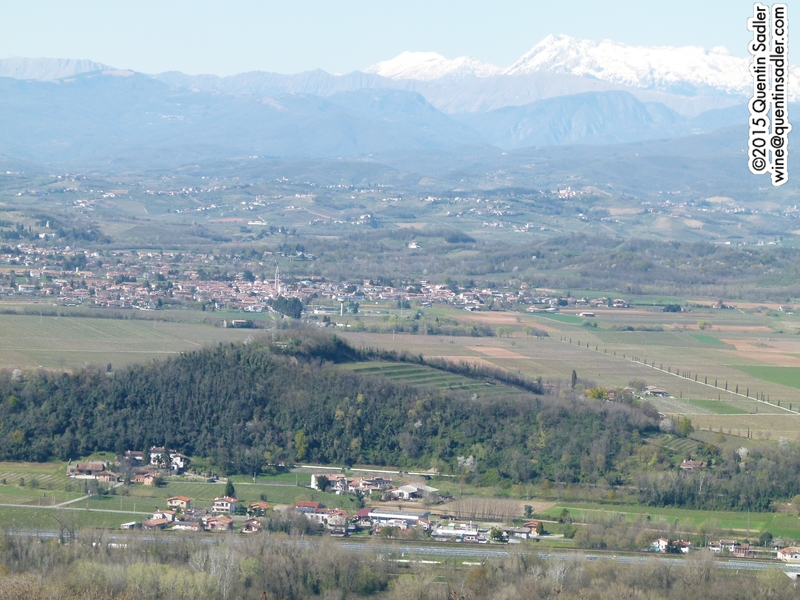 In fact Lessona is a commune in the Province of Biella some 70 kilometres north of Turin and although it was created a Denominazione di Origine Controllata / DOC as long ago as 1976, there are only 14 hectares of vineyards there. It wasn’t always like that though. 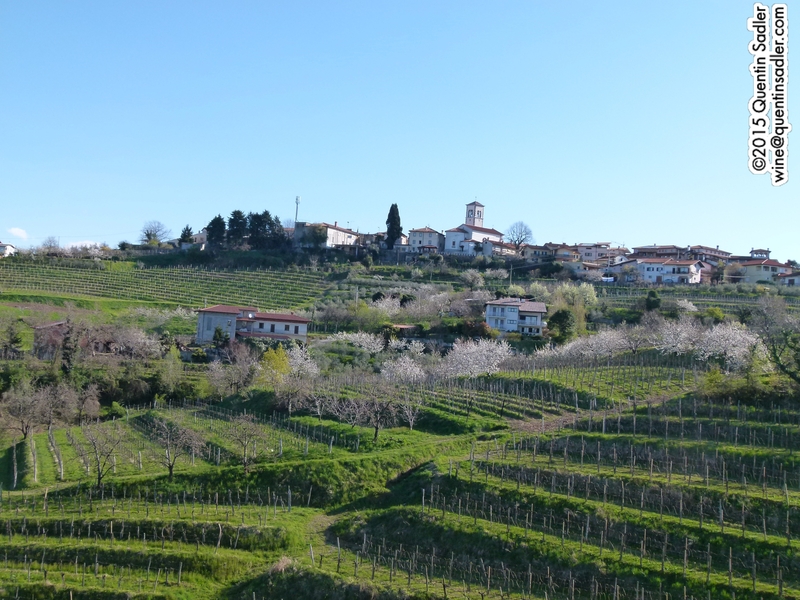 The wine growing areas in the Alto Piemonte were once very important and like Lesona have long and noble histories that predate Barolo by several centuries. Phyloxerra devestated the vineyards and it is much harder to replant here on mountainous terrain than on the low rolling hills of Langhe. It is also much harder to scratch a living in more dramatic terrain, where transport costs are high, so many people left the land over many decades. Some emigtrated to the United States or Argentina, while others just went as far as Turin or Milan to seek work. After the depression and two world wars even those who had stayed were tempted to get steady jobs in the local post war textile industry that boomed for several decades. The consequence of all this is that the wine revolution passed the place by and so they found it hard to pull out of the downward spiral of decline that had gripped the place since the 1930s. Tenute Sella – photo courtesy of Tenute Sella. The richer Langhe region had more money to invest in vineyards and wineries, so as the post World War II modern wine revolution bit, those wines were perceived to be finer, richer, rounder and fruitier. More professional viticulture and hygeneic winemaking was completely normal in the south, but took far longer to reach the more impoverished north. As a result, by the time I joined the wine trade 30 odd years ago, the wines of this part of Piemonte were almost never mentioned. Which is a great shame as the DOCs and DOCGs of this part of Italy produce some seriously impressive wines, especially the reds of Carema, Gattinara, Ghemme, Bramaterra and Lessona. There are many great producers here that deserve to be much more widely known – you can read a bit about them here. While I was there many producers captured my imagination, but I developed a particular affection for the wines of Tenute Sella. 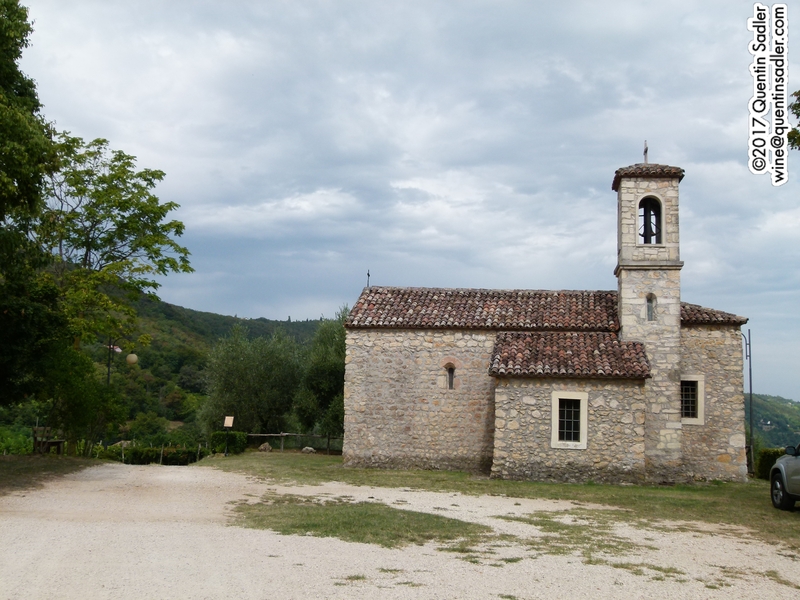 Based in Lessona, although it has vineyards in Bramaterra too, this estate has been owned by the Sella family since 1671 when silk merchant Comino Sella founded it. Today the estate is run by the engaging and charming Marco Rizzetti, who is CEO of the winery and part of the Sella family on his mother’s side. 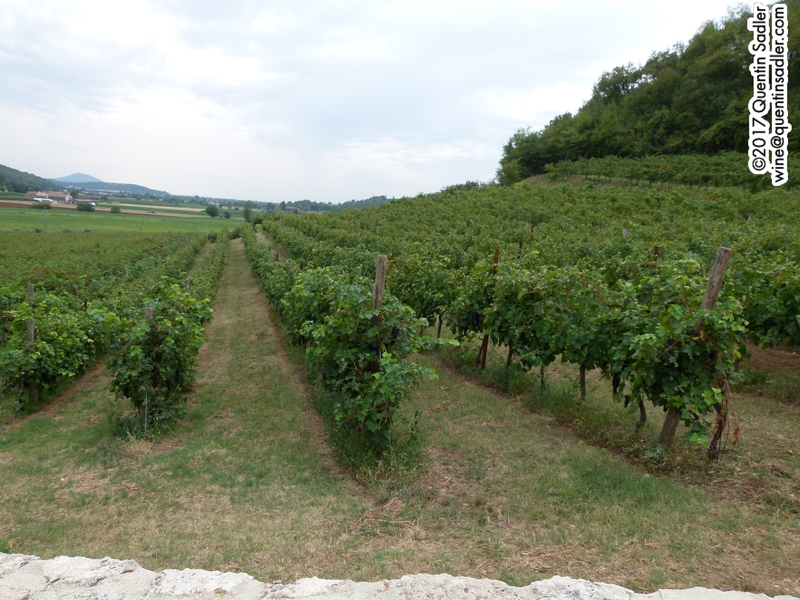 Tenute Sella vineyards in Lessona – photo courtesy of Tenute Sella. 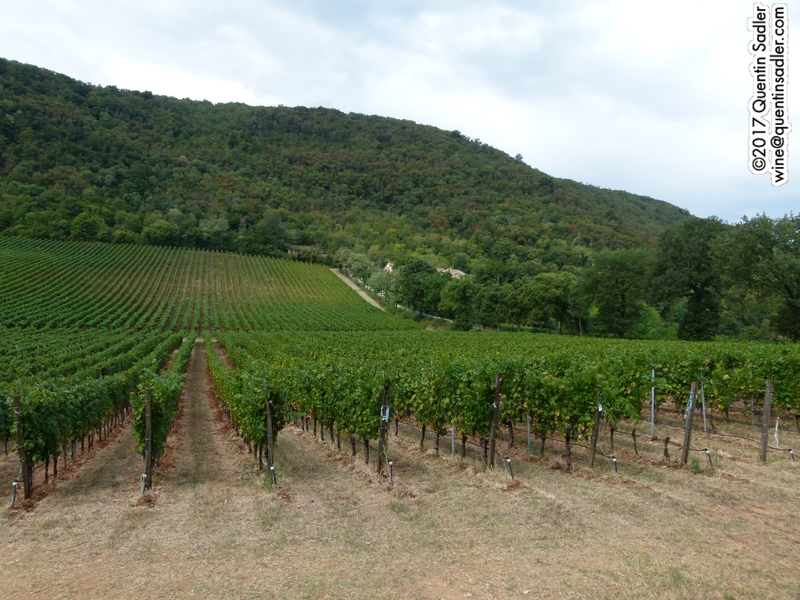 Today Tenuta Sella farms 7 hectares in Lessona – 50% of the PDO – plus 10 hectares in Bramaterra. The Lessona vineyards are pretty fragmented and on Pliocene marine deposits, so comprise well drained sandy soils. The principal wine from the estate and the wine they have produced ever since 1671. This is a blend of 85% Nebbiolo (traditionally called Spanna up here) with 15% Vespolina, a close relative of Nebbiolo. The vines are on average 55 years old and the vineyard is at 300 metres above sea level with a south facing slope. 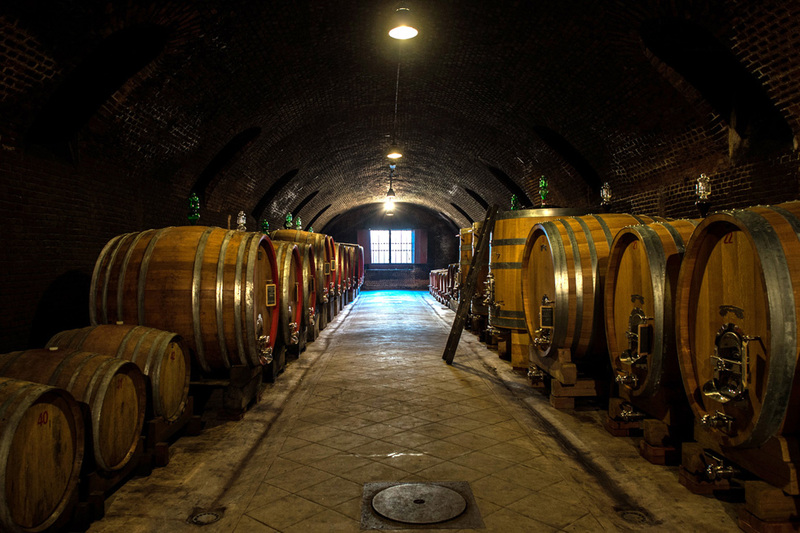 The grapes were destemmed and crushed before being fermented in stainless steel vats and the wine was matured for 24 months in large (2500 litre) Slavonian oak barrels, where it also went through the malolactic fermentation. Viticulture is all low impact, near organic with no pesticides. 2011 was a difficult year with periods of heavy rainfall and drought while hail in July severely depleted the crop making yields lower than normal. They are very pleased with what the vintage finally produced, as was I. The colour was a little bricky like Burgundy, while the nose delivered lovely complex red fruits, spice, pepper, espresso and light smoke with an enticing mix of sweet fruit and savoury characters. The palate was quite haunting with lovely refreshing acidity, tannins that certainly made themselves known but were not aggressive, making the texture quite supple. The flavours were deep red fruit, plums especially, with dried fruit, earthy, coffee bean, tomato stem, savoury spicy characters and a lovely gamey, leathery development. It really is a lovely wine, more perfumed, more supple than we normally think of Nebbiolo. I could not help feeling that this would be great with Christmas dinner – 93/100 points. 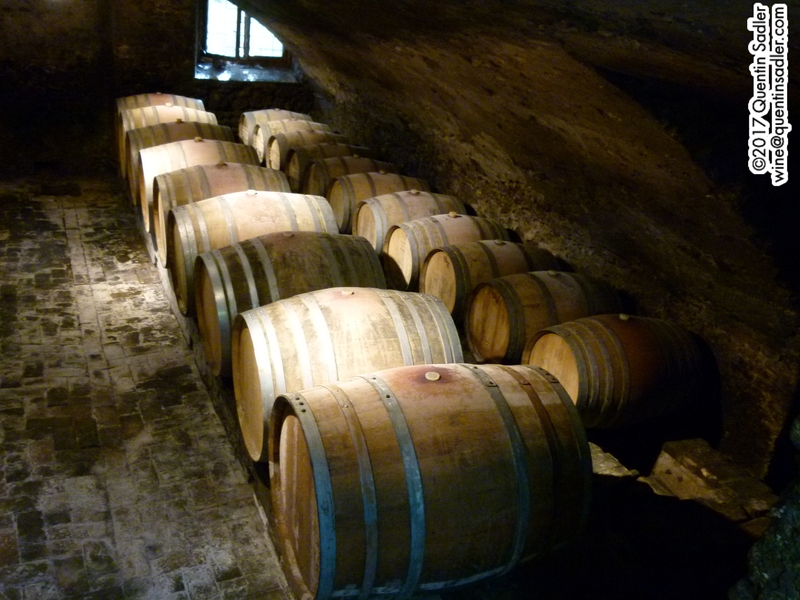 The cellar at Tenute Sella – photo courtesy of Tenute Sella. A beguiling and complex food wine, if you like Barolo, Northern Rhône wines or Burgundy then you will love this. As well as turkey and goose, this would be wonderful with beef dishes and an array of cheeses. Available in the UK for between £17 and £23 per bottle from Vinissimus and Tannico.co.uk. If you want even more of a bit of a treat for Christmas, then Vintage Wine & Port have a few bottles of the 2000 vintage Tenute Sella Lessona for £39.00 per bottle. Colli Berici vines at the Pegoraro Estate. 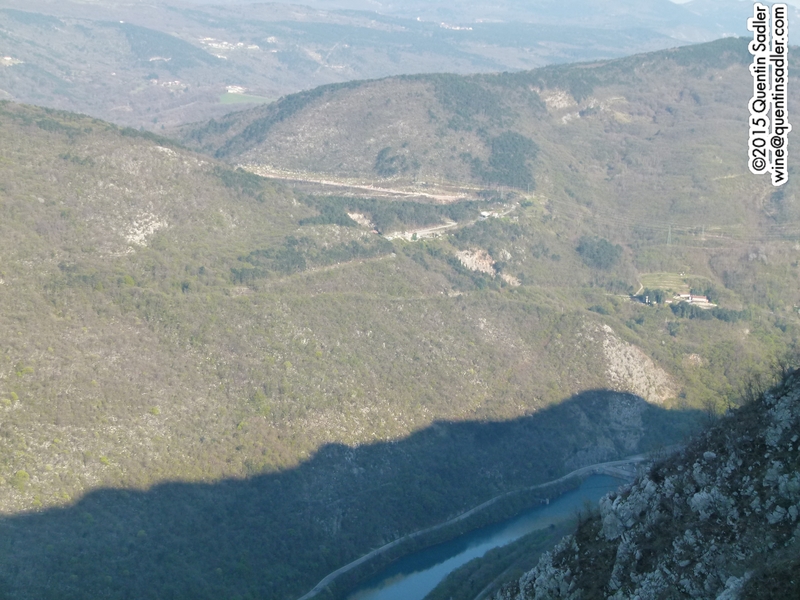 I have recently returned from a trip to the Colli Berici and I was very impressed by what I experienced. It is a place that I had heard of, but had seldom tasted the wines that it produced, so I had almost no idea what to expect from the wines. This is especially so as the region seems to produce pretty much every style of wine there is. 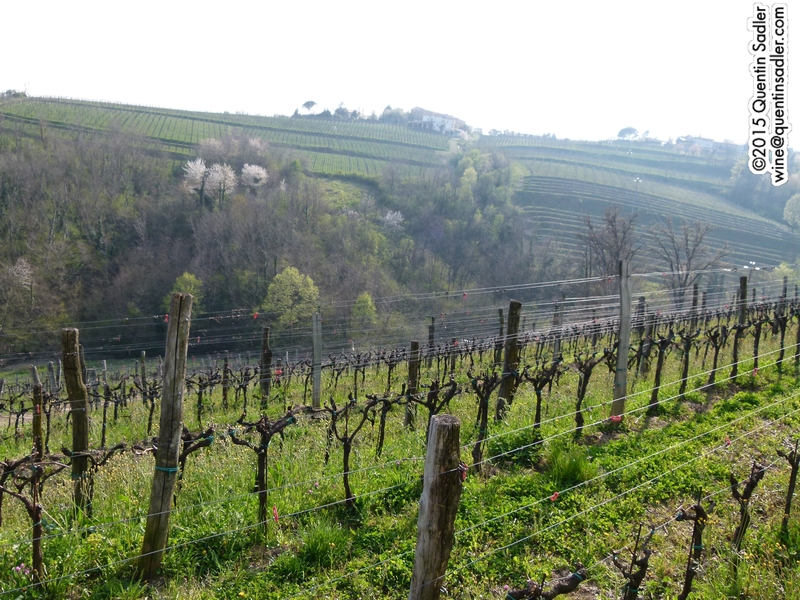 Beautiful vineyards in the Colli Berici. 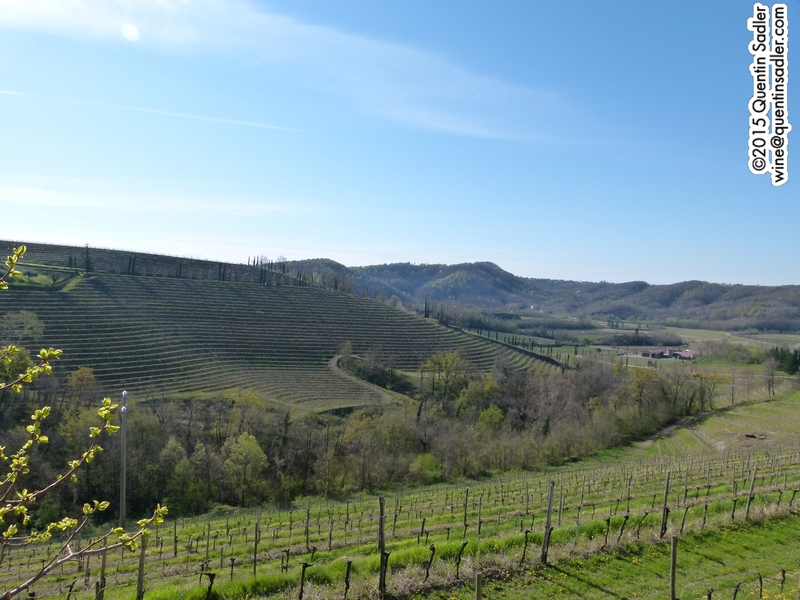 Located between Vicenza and Padua the Colli Berici are a series of limestone hills with red clay and volcanic, basalt soils. This variety together with the subtle differences in weather patterns – it tends to be pretty dry in the hills, but can vary – allows them to grow an impressive array of grape varieties in this tiny region. 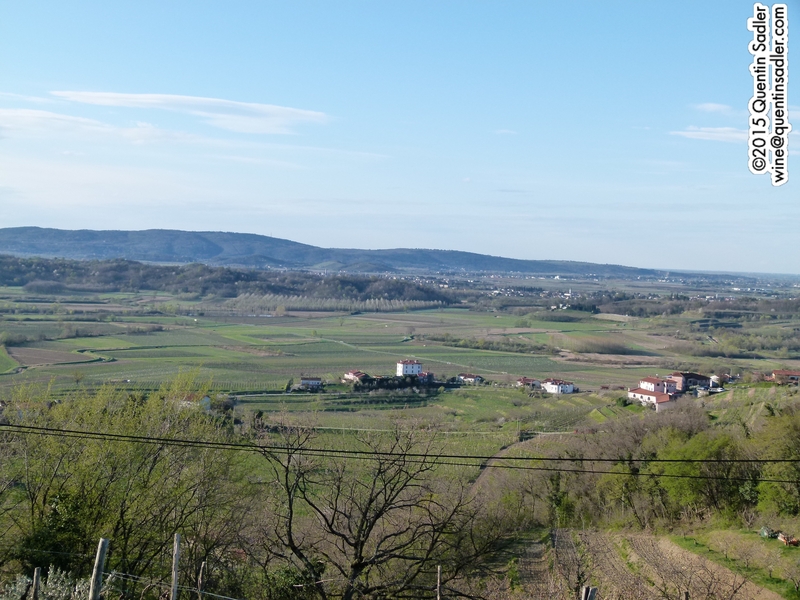 As you might expect, the best vineyard sites are on the south facing slopes of these hills and it it is the drier and warmer conditions there that make the Colli Berici such a good red wine region. 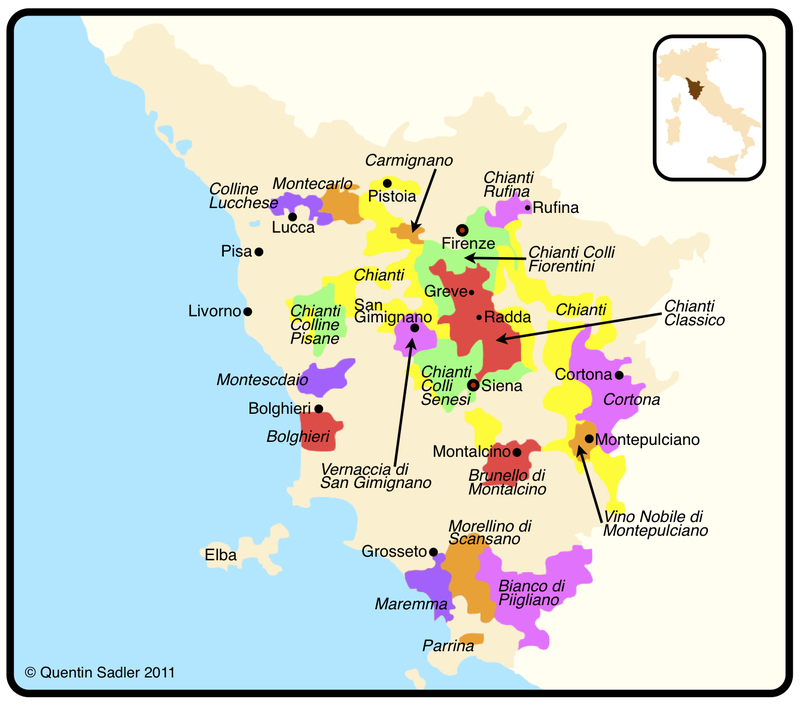 Wine map of northern Italy. 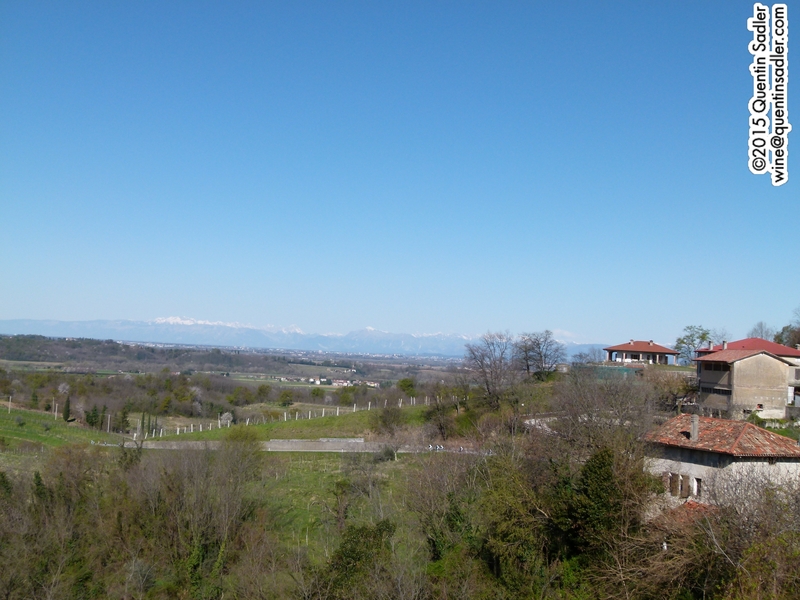 The Colli Berici is in Veneto between Venice and Verona. They grow a huge range of black grapes here, Cabernet Franc, Cabernet Sauvignon, Carmenère, Merlot, Pinot Nero and Tai Rosso, the new(ish) name for a grape long believed by the locals to be indigenous, but now known to be Grenache! The region also makes a wide array of white wines from many different grapes too, Chardonnay, Garganega, Manzoni Bianco, Pinot Bianco, Pinot Grigio, Sauvignon and Tai, the new(ish) name for Tocai in Veneto. The first winery that I visited here was real revelation. Dal Maso was founded in 1919 and is now run by Nicola, Silvia and Anna Dal Maso, the 4th generation to run the winery and make wine there. 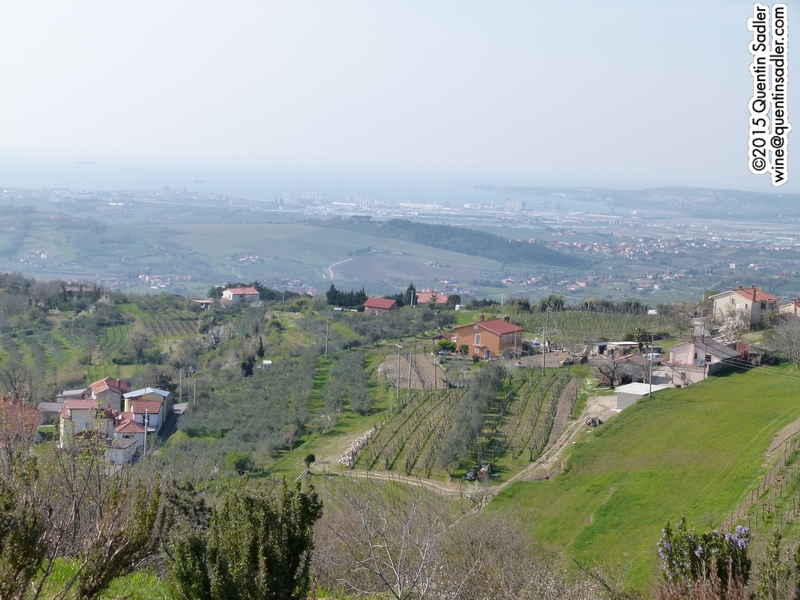 The family originally started making wine in the the Montebello area in the tiny neighbouring DOC / PDO of Gambellara, which is solely for white wine made from Garganega grapes – of Soave fame. Dal Maso still make wine there and I came to like the wines very much. They were surprisingly mineral and came across as really quite Chablis-like. Like most of the producers around here, they also make some very attractive sparkling wine from the Durella grape that grows just to the north in the Monti Lessini area. 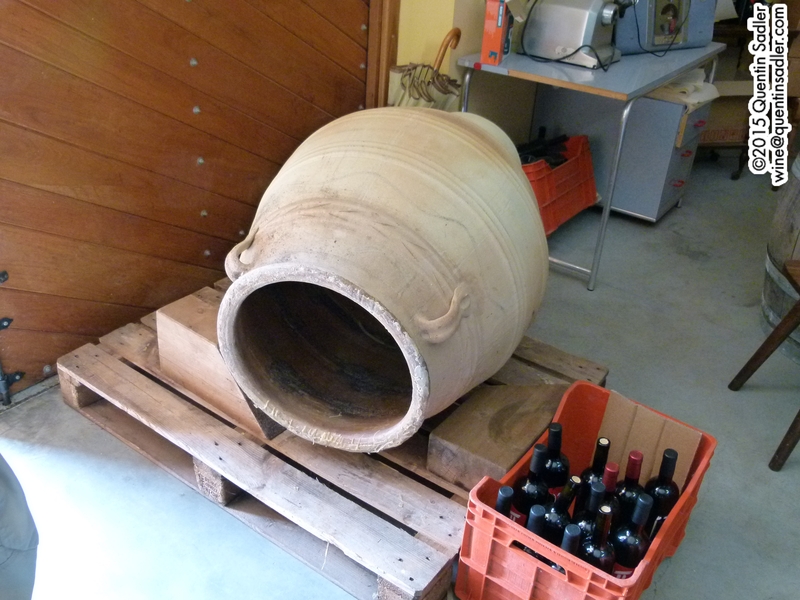 This is usually made by the tank – or Charmat – method and to my mind generally has more focus than the ever popular Prosecco. 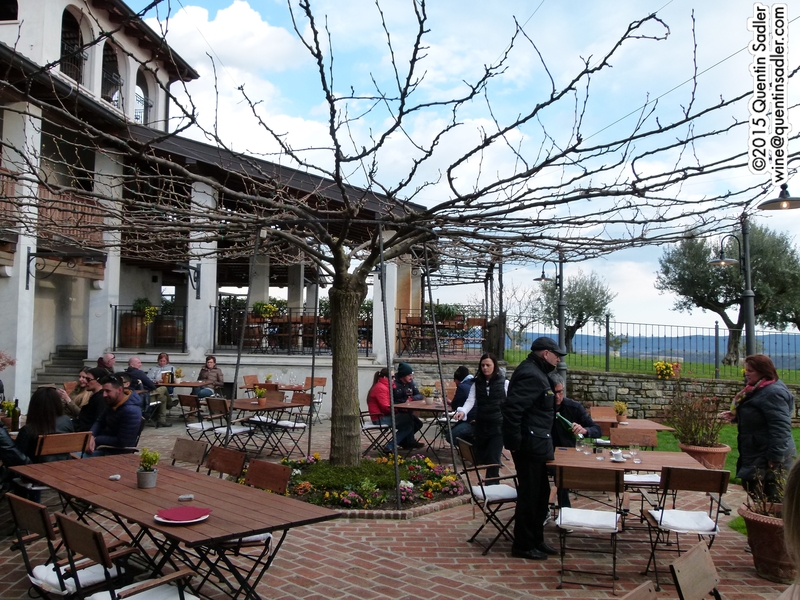 The beautiful winery at Dal Maso, photo courtesy of the winery. 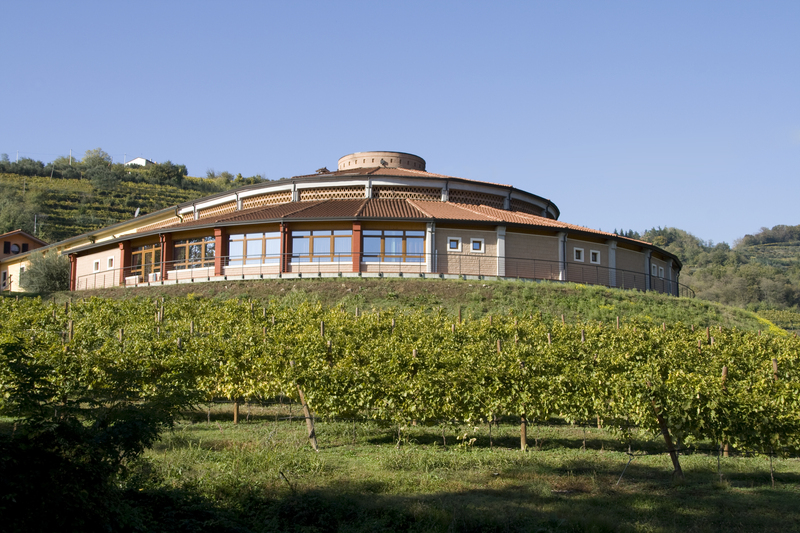 Nowadays they have a beautifully appointed modern winery and tasting room built into a hillside and surrounded by vineyards. It was a fabulous place to get to grips with this region which was almost entirely new to me. 100% Tai Rosso, the local name for Grenache of all things, from their own estate vineyards, de-stemmed and macerated on the skins for 7 days, fermented in stainless steel with regular punchdowns of the skins to keep the juice and skins in contact to help extraction of flavour and colour. The finished wine is aged for 12 months in cement and stainless steel tanks before blending. The colour is a rich and enticing bright ruby. The nose offers lovely fresh minty, floral, wild raspberry, plums and – strangely as there is no oak – some mocha notes. The palate has lovely sweet rich red fruit, soft spices and bright, refreshing acidity making it really really juicy and vibrant. A lovely wine that seems bright and direct, but has plenty of sophistication and elegance too should you chose to think about it. Or you could just enjoy it’s many charms – 88/100 points. This is a very food friendly wine and would be great with all sorts of food, but lamb would work especially well. A selection of the best Tai Rosso fruit from the Colpizzarda estate. De-stemmed and macerated on the skins for 10 days, fermented in stainless steel with regular punchdowns of the skins to keep the juice and skins in contact to help extraction of flavour and colour. The finished wine is aged for 14 months in oak barrels. The colour here shows both the quality and the oak ageing as it is an intense earthy ruby. Great nose, pure and earthy with some vanilla and cream notes as well rich red fruit, a dusting of spice and coffee and cocoa notes. The palate is very supple and gives a beautiful balance of richness and freshness with lovely acidity. Rich red fruit, together with some darker notes, attractive, integrated oak characters and a beautiful silky texture. This is elegant and very fine with good balance of freshness and richness great finesse – 92/100 points. 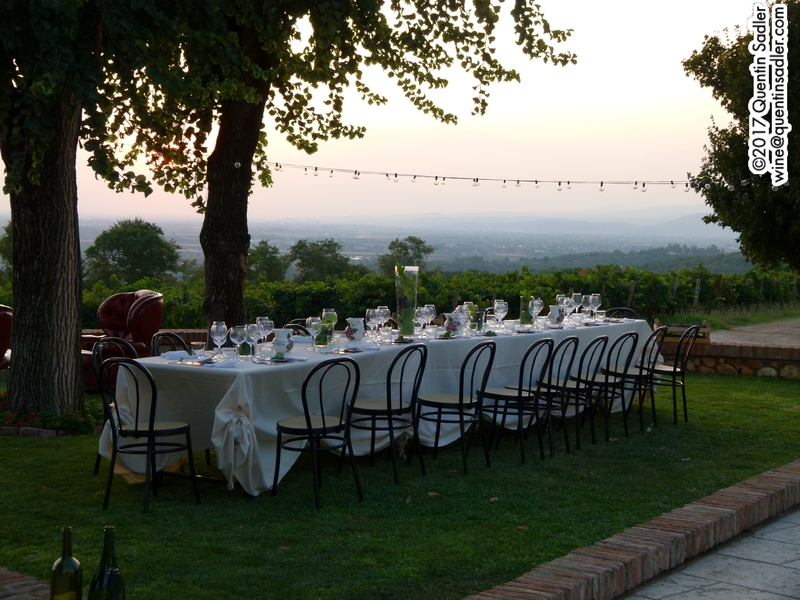 The setting for dinner at Cavazza’s Tenuta Cicogna. 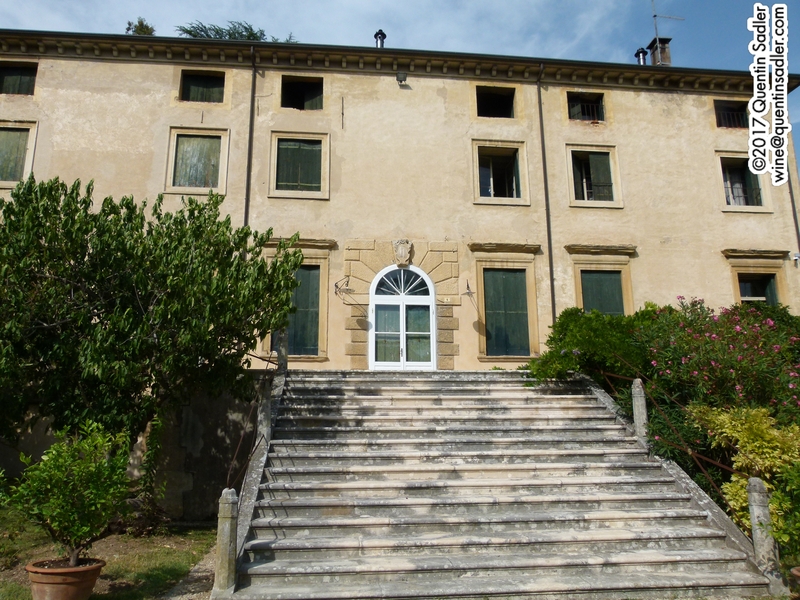 This is another family run estate that started out in the Gambellara region in 1928. 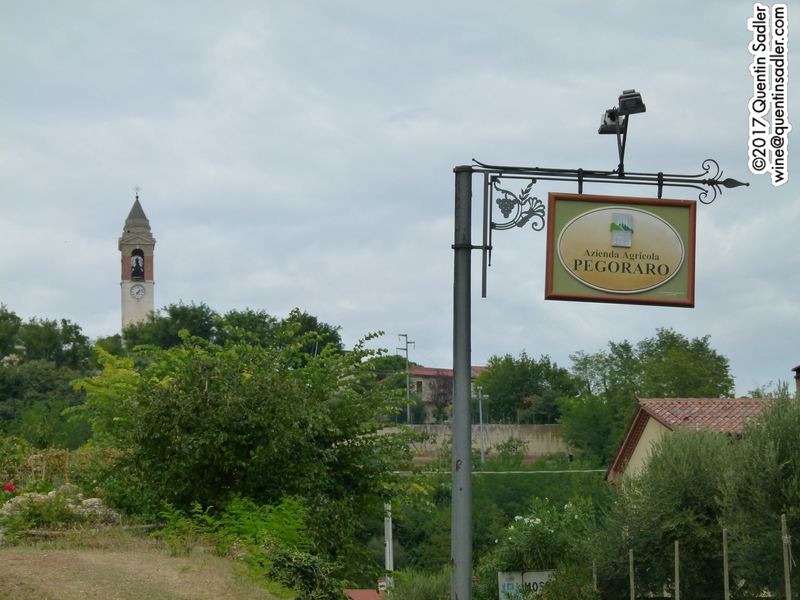 They continue to make their white wines from Garganega grapes grown in the volcanic soils there, but in the 1980s they spread their wings and bought the beautiful Cicogna (stork) Estate in the Colli Berici where they farm their Cabernet Sauvignon, Tai Rosso and Carmenère grapes for their red wines. 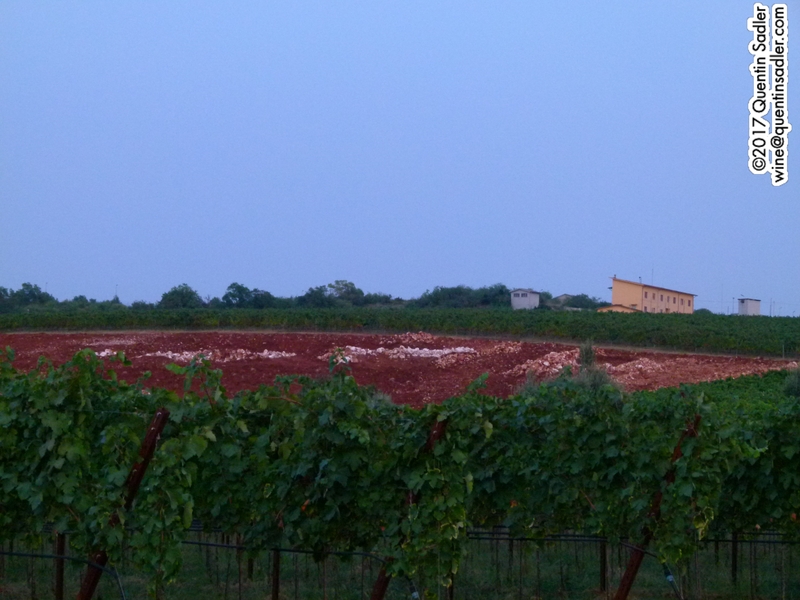 Cavazza’s Tenuta Cicogna, note the red soils. 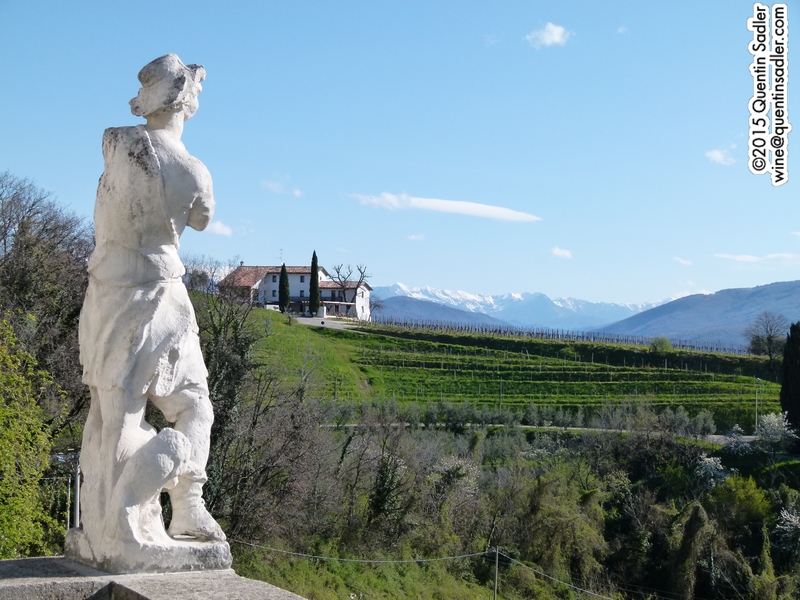 The estate has a beautiful house and cellar on it and sitting out surrounded by the vines on the Cicogna estate enjoying a tasting and then superb dinner was a wonderful experience and a perfect way to immerse oneself in the landscape. 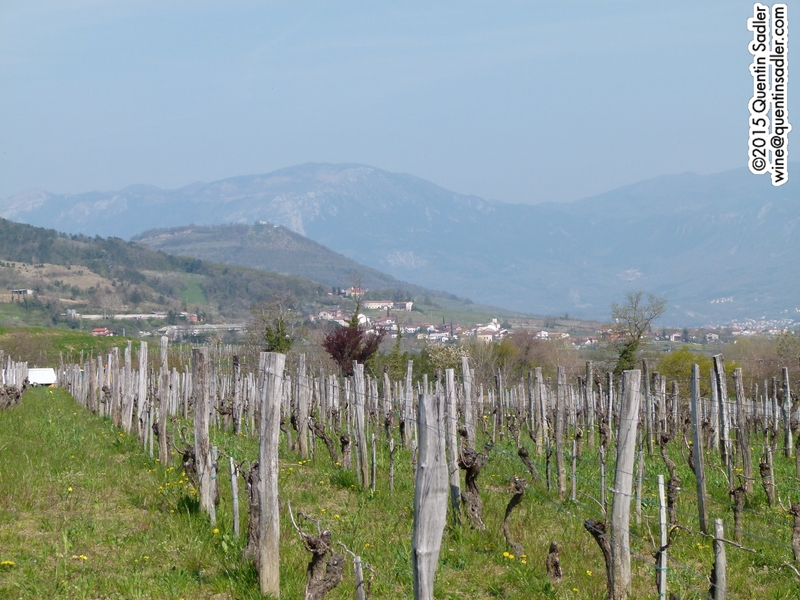 Gambellara is a tiny DOC sandwiched between the Colli Berici and Soave. 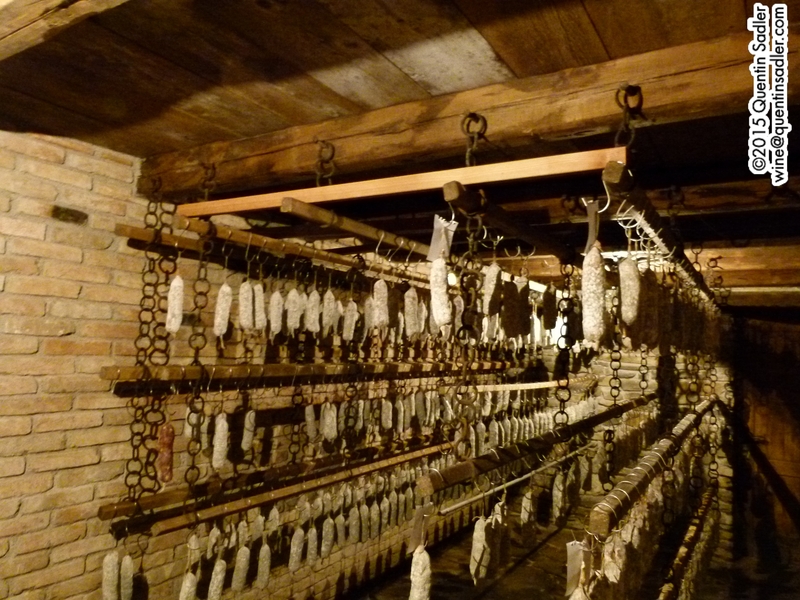 It only produces white wines and they are made from the Garganega grape that is used for Soave. Part of Soave is on volcanic soil and so is Gambellara. I have to be honest I had never had a Gambellara before this trip, but was very impressed by the wines. This is grown on the original Bocara vineyard that the family bought back in 1928. It is regarded as one of their finest white wines, so is a top selection of fruit from the 40 year old vines in the vineyard. 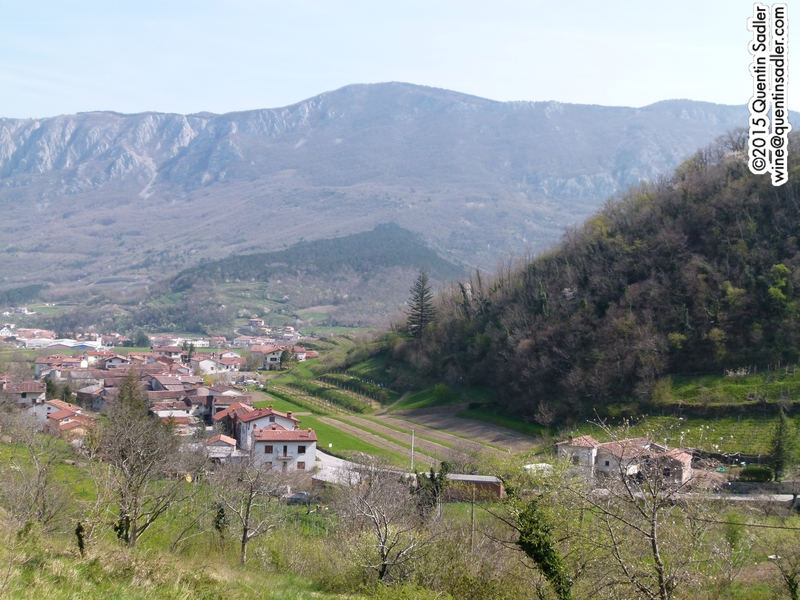 Bocara faces southwest and is a gentle slope at about 150 metres above sea level. The soil is volcanic with some layers of tuff / tuff, which is volcanic ash. 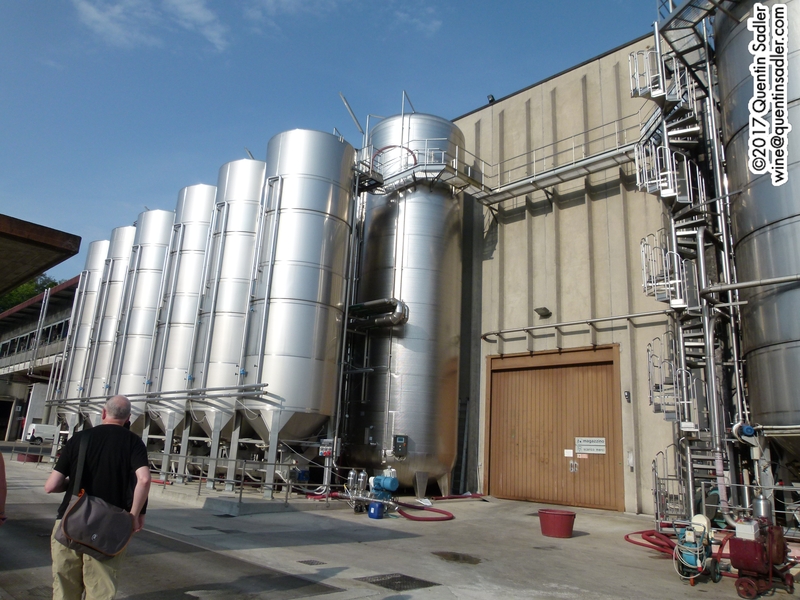 The grapes are fermented in stainless steel at 16˚ C and the finished wine is aged on the lees for 3 months. The nose is very giving and generous, with mineral notes – stony, steely, ash as well – orange blossom, camomile, almonds and a lovely lees, gently creamy quality too. The palate has a lovely combination of softness – creamy and fruity (apricot, nectarine, green plum) – with taut acidity and a slightly salty mineral core. A really beautiful wine that screams class. This would be wonderful with all manner of lighter dishes, but is also perfect with a selection of softer cheeses – 92/100 points. I had recently come to the conclusion that Verdicchio might be Italy’s finest white grape, but this is right up there, so perhaps Verdicchio and Garganega are the jointly best white grapes of Italy? But then of course there is Fiano? Cabernet Sauvignon has been grown in the Veneto for around 200 years. It is thought to have been introduced at the time of French rule during the French Revolutionary and Napoleonic wars. This is a selection of the best Cabernet fruit from the Cicogna estate, handpicked and carefully sorted. The wine is aged for 12 months in French oak barrels. This is very concentrated with an opaque purple colour. The nose is aromatic, lifted and fragrant with bright fruit, rich cassis aromas, leafy, mental, herbal notes, cedar and a touch of pencil shavings. The palate is concentrated, supple and soft, smooth, with wonderful rich blackcurrant and bramble fruit and smooth tannins. There is a delicate mocha character and a lovely paprika spice quality to it. This is a deliciously vibrant Cabernet – 92/100 points. It seems a little counter intuitive to drink Cabernet Sauvignon from Italy, but this wine could well win us all round. If you like Claret you would enjoy this, but the brightness also makes it a good alternative to New World Cabernets too. Some of the cooperative’s beautiful vineyards. Cantine dei Colli Berici, winemaking on a huge scale. Destemming at Cantine dei Colli Berici. This impressive cooperative is part of the Collis group that also runs cooperative wineries in the Soave, Valpolicella and Prosecco areas as well as the less well known Arcole and Merlara areas, so 5 wineries in total. It is always rewarding to visit a large cooperative as it is always far too easy to think of a wine region as just the sum of the boutique producers. Actually very often in Europe the wines people will actually drink from a place on a day to day basis are the cooperative wines and so they often constitute the engine for the region. This was a case in point. They operate on a huge scale, producing over 130 million bottles of wine – although most of it is sold without being bottled – and yet it produced some pretty decent wines, even at very cheap price points, less than a Euro a litre. The region is justly proud of the architect Andrea Palladio who was born in Padua, part of the Venetian Republic, in 1508 and have spent his entire career in the Vicenza / Treviso region. He created amazingly modern buildings that became the blueprint for grand houses for more than 200 years. His name and style is celebrated in the word Palladian used to describe buildings, like the White House, that were built according to his ideas. Today the City of Vicenza and the Palladian Villas of the Veneto is a World Heritage site that protects the Palladian villas in the region. Villa Almerico Capra, “La Rotonda” in the Colli Berici just south of Vicenza. Marco Inama showing me his new as yet unplanted vineyard, see the red soils. The Oratorio di San Lorenzo in San Germano dei Berici is right next to Inama’s Carmenère vineyards and a picture of this church adorns the label of their superb Oratorio di San Lorenzo Carmenère Reserve. Inama’s Carmenère vineyard next to the Oratorio di San Lorenzo. Inama is really the only well known winery from this region, as far as the UK is concerned anyway. That reputation though is historically for their white wines from Soave, indeed they are a very fine Soave producer indeed. Azienda Agricola Inama was founded by Giuseppe Inama in 1965 and after great success with their white wines they began producing red wines in the Colli Berici made from Cabernet Sauvignon, Merlot and Carmenère in 1997. My first ever experience of tasting a wine from this area was Inama’s 2006 Carmenère Più, although in those days the wine was simply labelled as an IGT Veneto Rosso as Carmenère was not a permitted grape in the Colli Berici DOC until 2009. In fact the history of the grape is fascinating. Until phylloxera struck in the middle of the nineteenth century, Carmeère was a major Bordeaux grape, but afterwards it was not replanted in a serious way as it is such a late ripening grape. Luckily for us cuttings were taken to Chile, where it was wrongly identified as Merlot, and northern Italy. Here it was widely grown in the Veneto and Friuli, but was originally locally known as “Old Cabernet” and then in 1961 was incorrectly officially identified as Cabernet Franc. It remained Cabernet Franc until it was outed in the 1990s and officially became a permitted grape, indeed one of the speciality grapes, in 2009. It seems that Carmenère is hard to identify. This wine is made from a selection of the best fruit from the vineyard in the photo above. It faces due south and acts as a sun trap, which must go some way to explaining why Carmenère can thrive here. 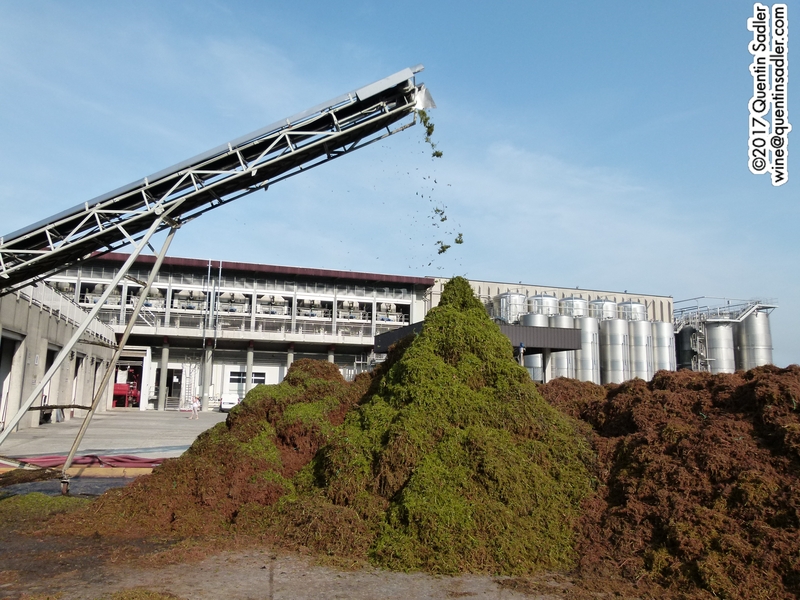 The grape alsmot fell out of use in Bordeaux because it takes so long to ripen. Even in Chile, where it has found a new home, it is hard to get right as it is the last grape to ripen even in the Chilean sun. The grapes were left to dry a little on the vine, to increase concentration, before being handpicked and fermented in stainless steel tanks and then aged in French oak barrels for 18 months, 50% new and 50% second use. The colour is most attractive with a rich plum colour and a little earthy garnet look from the ageing. The nose is very satisfying too, quite lifted blueberry, cedar, pepper and mocha notes while the palate is concentrated, smooth and silky with soft, rich fruit, slightly spicy and a savoury, earthy richness. There is also a lovely balancing freshness that makes the winery drinkable indeed and pulls all the parts together. A beautiful wine that carries its 15.5 very well indeed – 92/100 points. This older vintage was more bricky as you would expect and the nose had that meaty mature aroma together with more obvious pepper and vanilla. The palate was wondrously silky with smooth tannins and that sweet dried fruit character just beginning to emerge. It was very stylish and still had lots of freshness and even some bright dark fruit – 91/100 points. The Pegoraro Estate in Massano. Arriving at the beautiful Pegoraro Estate. 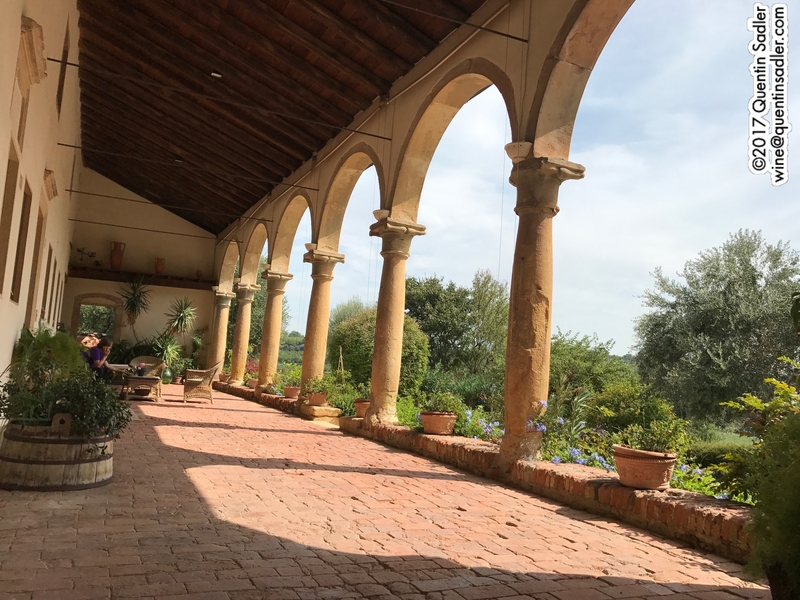 The stunning terrace at the Pegoraro Estate, those lucky nuns. This was a magical visit. They were all great, but this had something special. For a start we walked there along a wonderful trail in the commune of Massano, that crisscrosses a beautiful stream that powers 12 ancient water mills. 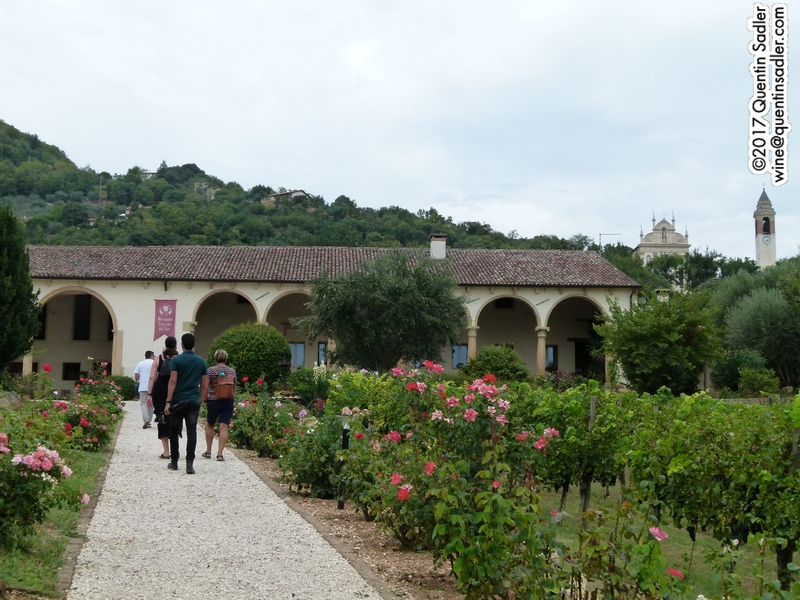 Then when we arrived the winery was housed in a medieval nun’s rest home that dates from 1200 and it was the most astonishingly beautiful location and building. What’s more the wines were seriously good and the lunch was superb. A traditional method sparkling wine made from Tai Rosso / Grenache. I had just tasted their Charmat (tank method) rosé sparkler also made from Tai Rosso grapes and it was very nice, but this was rather finer and more sophisticated. They claim to be the only winery to make this style and I certainly did not come across any others. It is a pale rosé with zero dosage and aged for 36/40 months on the lees before disgorging. The blood orange colour was most enticing, as was the nose of dried orange, apple strudel and cinder toffee. The palate was delicious with dried orange flavours giving freshness and acidity, butterscotch giving the richness together with some bright red fruit showing the grape variety and then a lovely yeasty quality like a fresh panatone. The finish was very long and it had a mousse that was persistent and firm, with awn almost brittle feel – a dear friend of mine once rather wonderfully described a mousse on a Champagne as “brittle” and I have finally worked out what she meant. This is a terrific wine that makes a very classy aperitif or would go with any lighter dishes and I really regret not buying a bottle – 92/100 points. 100% Tai Rosso fermented and aged in stainless steel tanks to preserve the freshness. The colour was an attractive pale red, almost a rich rosé, but they were adamant that it was not a rosé, but a traditional style of red to the region. The nose balanced bright cherry and strawberry with a touch of spice and savoury, earthy notes and rose hips. The palate gave bright cherry, strawberry and raspberry fruit flavours together with some spice, gentle tannins, lively cherry acidity and a nice touch of spice. A lovely, honest wine that goes beautifully as with just about anything and can be served chilled too – 89/100 points. The family house at Piovene Porto Godi. The ancient and atmospheric cellars at Piovene Porto Godi. Yet another extraordinary experience. This estate has been owned by the Piovene Porto Godi family since 1500 and is exactly how you imagine a wealthy farm to have been in the past. The house and winery is walled all the way round like a small fortress and apart from the 220 hectares of land it also consists of landscaped gardens, a mansion and an extensive collection of outhouses, cellars and stables where the winemaking goes on. As well as grapes the estate grows cereal crops and olives too. Although the estate has made wine for centuries, it is the current generation who have become really ambitious for the place and produce bottled, rather than bulk, wine to a very high standard. To achieve this they have in recent years replanted much of the vineyard and revamped the winery too. I think this was the only Garganega that I tasted from the Colli Berici and it was fabulous. It is a limited production wine from the best fruit of a single vineyard – Riveselle – that is south facing on chalky soils at 70 metres above sea level. It was fermented in stainless steel and although I have not been told that it was aged on the less, I am sure that it was. The nose pleased me straight away. It was peppery like olive oil and rocket / arugula. There was also something almond-like with some smoky notes (lees ageing? ), something herbal and lemon rind too. I found the nose rather additive actually. The peppery and herbal qualities come back on the palate too together with the camomile flavour that I associate with the grape variety. It was also gently creamy and lightly smoky with some dashes of orange and nectarine. It was juicy with a long finish, cleansing acidity and that peppery note all the way through. A super wine that I kept coming back to and would enjoy with a cold buffet or a selection of soft cheeses – 92/100 points. This is a style that I enjoy greatly, but sadly most Brits do not – oaky Sauvignon. The fruit is from the Campigie vineyard which is south facing with a chalky clay soil. 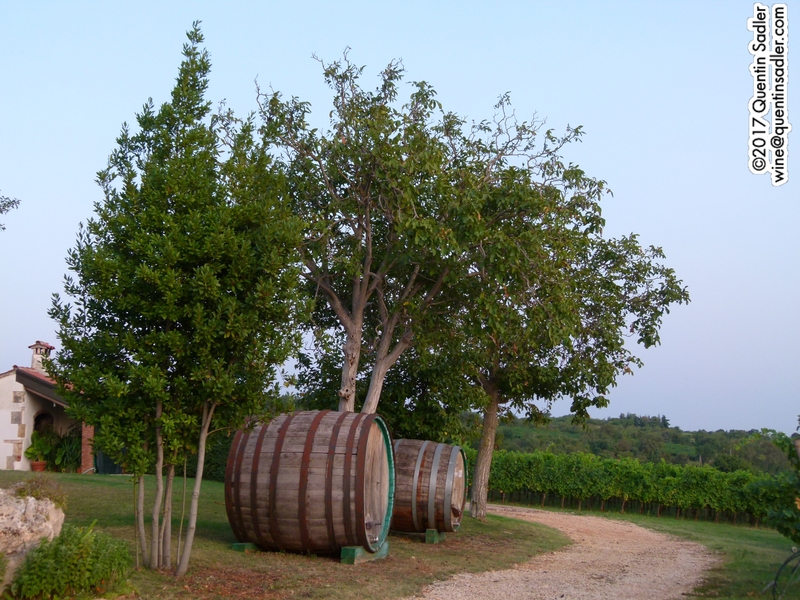 The grapes are late harvested to concentrate the sugars and flavour and they are fermented in a mixture of stainless steel and oak barrels. The wines is also aged for 8 months in barrel. The nose is a mixture of fat and restraint. The oaky richness is obvious but not dominating with as light, attractive resiny character. The palate is round and smoky, but again not too oaky. The grape’s natural freshness, stony quality and blackcurrant flavours really come out together with something tropical like pineapple and a touch of creaminess. The finish is very long and satisfying. I would love this with a tuna or swordfish steak – 91 /100 points. A single vineyard Tai Rosso that is one of the top wines of the estate. Again the vineyard is south facing on chalky soils. The grapes were fermented in stainless steel and the wine was aged for 15 months in French oak tonneaux – each one contains 900 litres, the equivalent of 4 barriques or barrels. This larger oak vessel means the oak flavour is less overt, but oxygen still gets into the wine through the wood to soften it. The nose was smokier, deeper and full of darker fruits than I normally expect from Grenache. There were touches of leather and coffee too. The palate was joyfully supple with rich raspberry, plum and liquorice characters all viewing for attention together with light touches of mocha and exotic tagine spices. A fascinating wine that has a delicacy and freshness competing with rich fruit and 14% alcohol. I liked this wine a lot and found it very food friendly and drinkable, yet there was good complexity and tension – 92/100 points. For me it is always a joy tasting wines from new regions and it pains me every time I see consumers in supermarkets buying from such a narrow range of wines. I have thought about this a lot and it is a terrible thing that so many British people who drink wine have absolutely no idea what variety and excitement is out there if they just opened their minds and stopped drinking the same old thing. There is so much more to life than Pinot Grigio, Sauvignon Blanc, Rioja and Shiraz. In fact it seems that the wine world is just full of exciting places where talented and passionate people are working hard to make wines that might just be your new favourite – if you ever get to taste them. 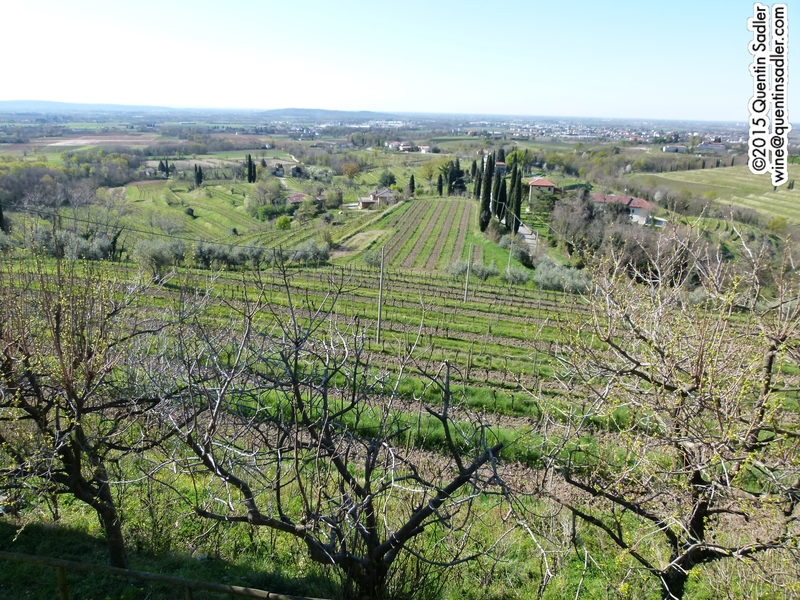 I was thrilled by the wines that I found in the Colli Berici – and in neighbouring Gamberella – and wish they were better represented on the shelves of wine shops and supermarkets in the UK. 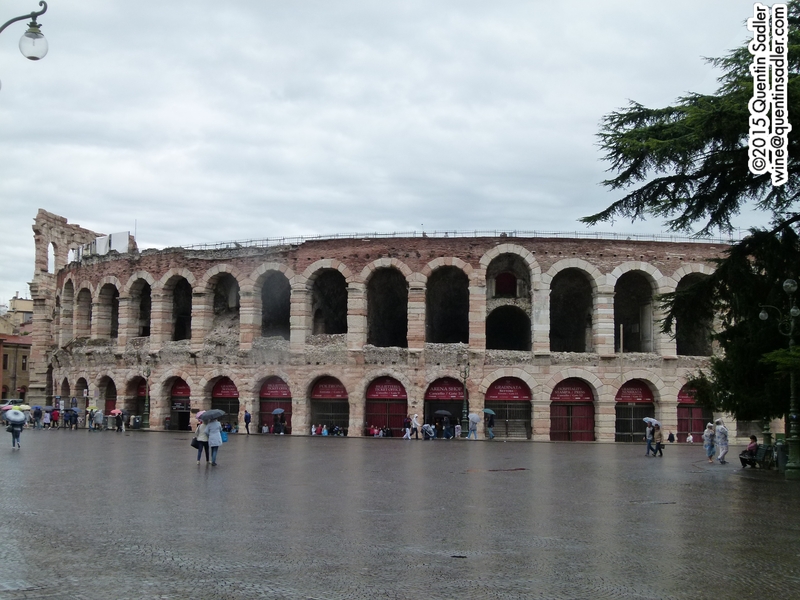 Verona Arena, Lugana is not far from Verona. I have been drinking rather a lot of this little beauty lately and have enjoyed it so much that I thought it deserved to be my Wine of the Week. It is a Lugana and it is made by the respected firm of Zenato, but that is really all I can tell you about – except how nice it is – because Zenato’s website fails to mention, as does the site of their UK agent and neither of them have seen fit to respond to my emails or telephone calls. On a recent trip to Verona I was very struck by Lugana and it has quickly become my one of my favourite Italian dry white wines. If you want to read a little about the region, the grape variety and the styles of Lugana, have a look here. I love this style of wine and although it bright, fresh and breezy I can drink this in the depths of winter with a nice bit of fish, some shellfish or even with the odd cheese straw as an aperitif. The nose is understated, taut and delicately fruity with wafts of light white peach, apricot and blossom. There are herbs and nuts too, as well as straw and a tight, stony quality. The palate is reasonably full with some texture and even a hint of cream. This is not really a flamboyant wine, but neither is it truly crisp – although there is some zing. The herb and nuts follow through onto the palate and there is a lovely squeeze of citrus – a fusion of lemon, lime and mandarin perhaps – while at its core is an equally refreshing stony mineral quality. A delicious wine that goes with all manner of light dishes, fish, chicken or whatever takes your fancy. – 86/100 points. Available in the UK at £9.99 per bottle from Waitrose Cellar, Waitrose and Ocado. 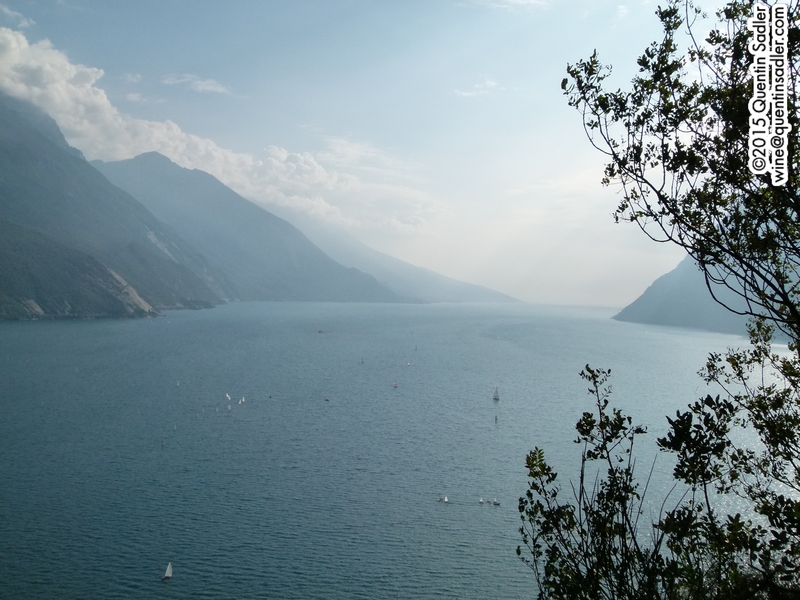 I was in Italy last week, visiting the beautiful region of Trentino. 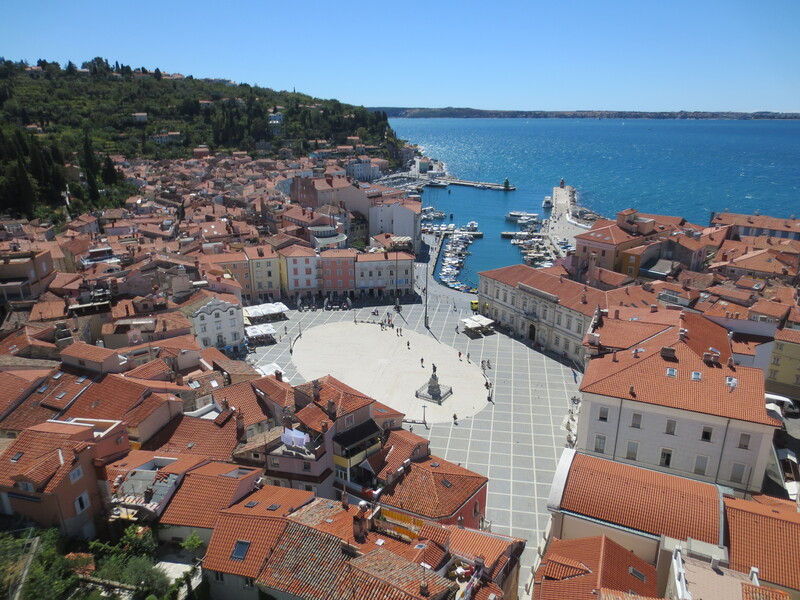 I loved the place and found much that was exciting – not least the wonderfully vibrant beer culture in the area. However I flew in via Verona and treated myself to an extra day to explore this delightful city. Apparently it has been a splendid Summer there, but decided to rain for the day and a half that I was there. And when I say rain, I mean rain, real rain, stair rods even. However, nothing can take away from the beauty and charm of this famous little city, it remains a wonderful place in any weather. My only quibble is that the locals seem to be completely unaware that Romeo and Juliet are fictional. They mention them all the time and they claim that you can visit Juliet’s house and even her tomb. When I was there most of the tourist groups seemed to be going to the Disney Shop, which seemed just as strange. Finding myself sitting in a lovely little Osteria just near Verona’s Piazza Brà – which is where you will find the amazing Roman arena, an incredible amphitheatre that is still in use for operas and concerts – I was excited to find a wine that I had long wanted to try on their list, so I ordered a glass. 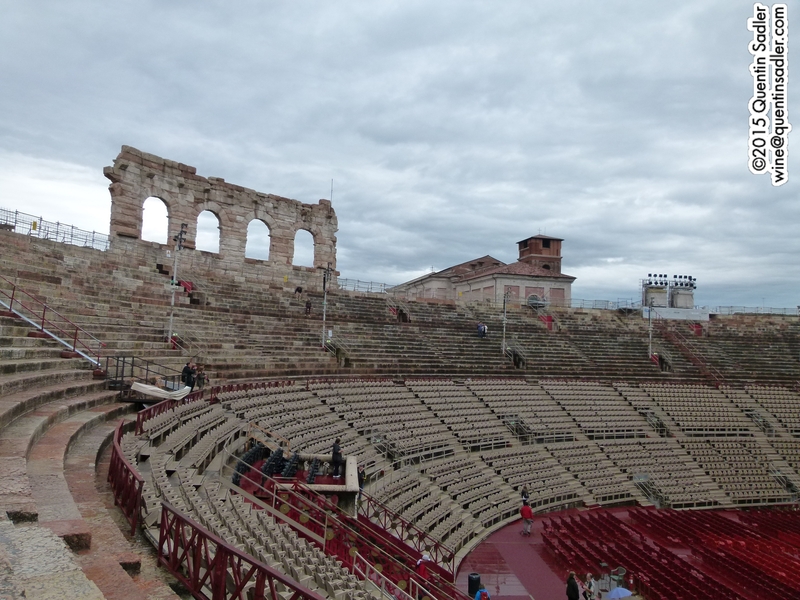 The inside of Verona Arena. 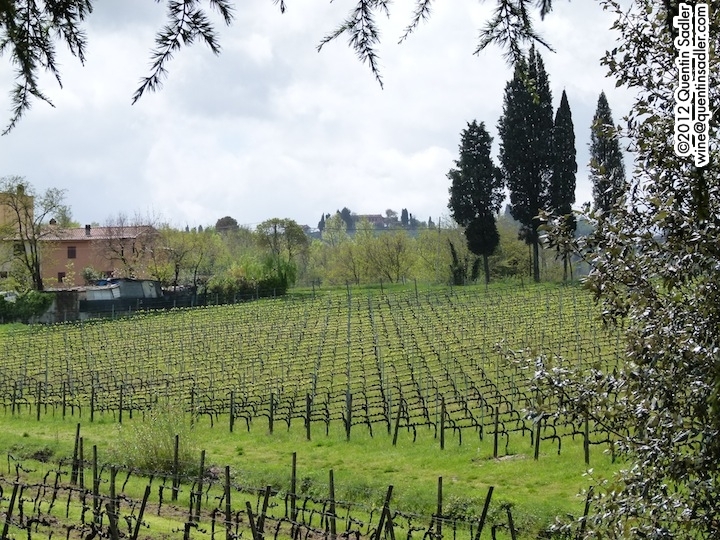 The region around Verona is famous for the white wines of Soave and the reds of Valpolicella, but there are three other less famous wine made nearby. The reds of Bardolino are very similar to Valpoicella, the whites of Bianco di Custoza are very similar to Soave, but nearby Lugana produces white wines that are a little bit different and it was a specific Lugana that I had wanted to try. 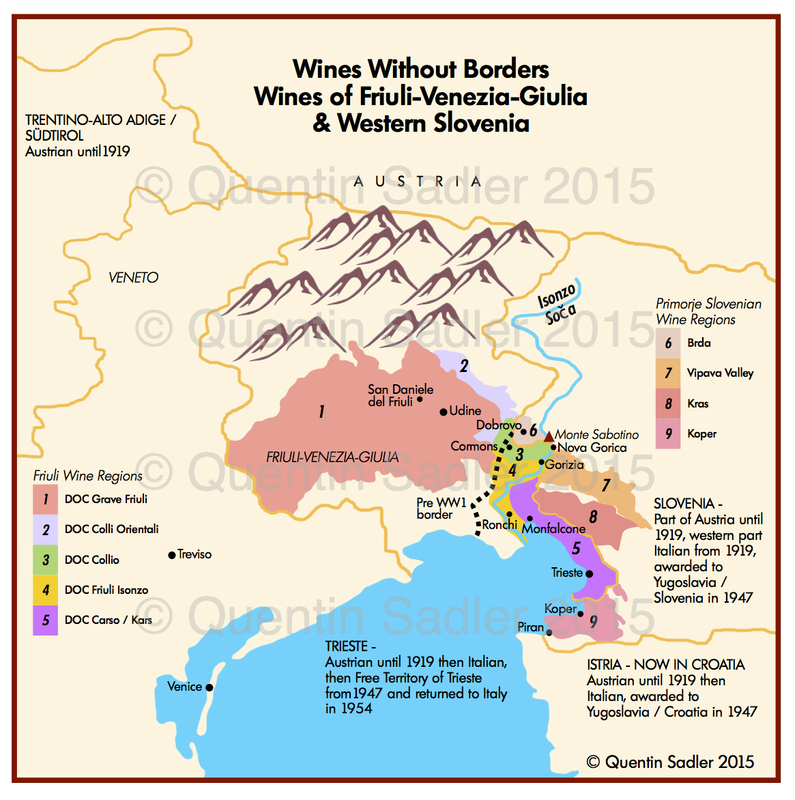 Map showing the wine regions of Northern Italy. 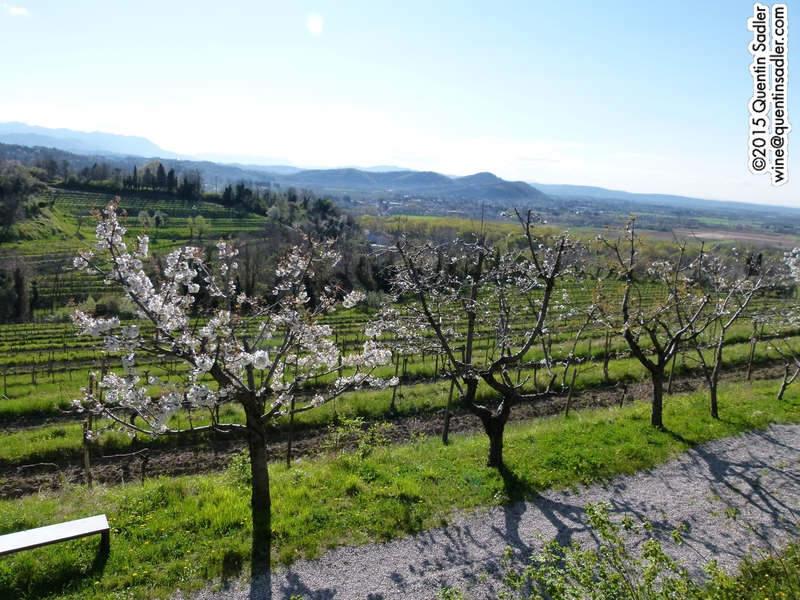 Lugana is just West of Verona on the shore of Lake Garda. 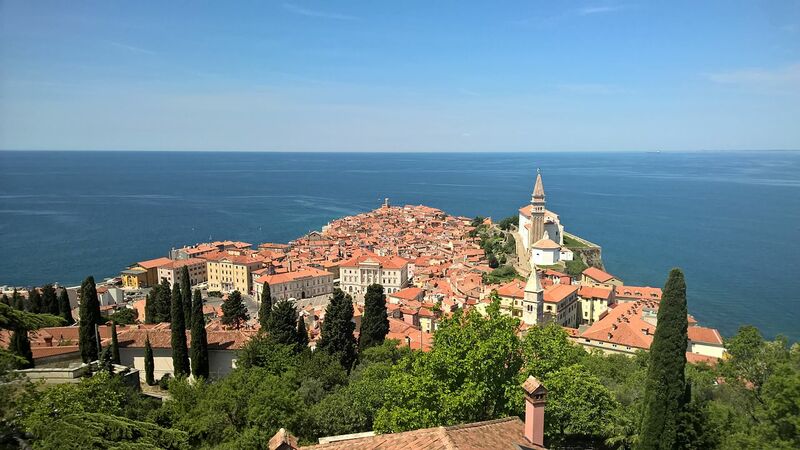 Lugana is right on the southern shore of Lake Garda and because of this location it enjoys a Mediterranean climate – everything else around has a continental climate. 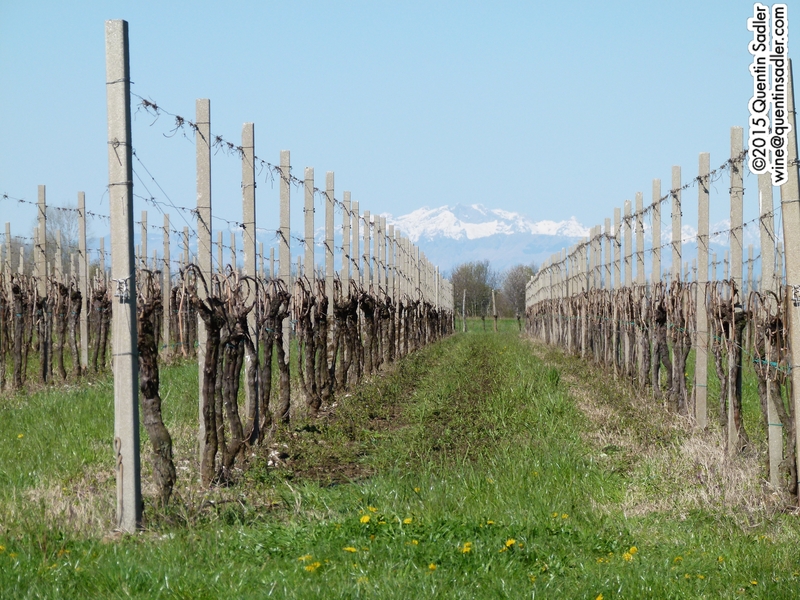 The vineyards are mainly in Lombardy with a small part in Veneto. I was always taught that Lugana is made from Trebbiano di Lugana, locally known as Turbiana and so had it down as a Trebbiano wine. Recently, however, it has been discovered that this grape is not the same as the nearby Trebbiano di Soave or any of the other Trebbianos that are found all over the country, but strangely is actually the same grape as Verdicchio. Verdicchio is most usually associated with the Marche region where it is most famously used to make Verdicchio dei Castelli di Jesi and Verdicchio di Matelica, but it is grown in Umbria and Latium as well. Of these white wines, Soave remains widely available, at all quality levels from acceptable to very fine indeed – try an example from Inama or Prà – and while Bianco di Custoza suddenly seems to be available everywhere in the UK, Lugana remains something that needs to be sought out. Well, I now know why. It is because so much of it is drunk locally as it is highly prized in the region. 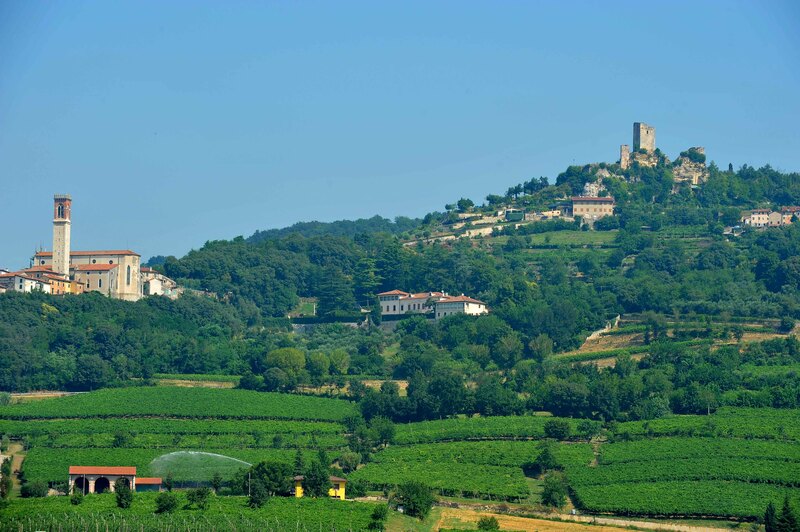 There are several quality levels and different types of Lugana, the more straightforward wines are called Lugana DOC, but these can be very fine indeed as is my Wine of the Week. Lugana Superiore requires 1 year maturation (not necessarily in oak, although some are) and lower yields. Lugana Reserva is aged for a minimum of 24 months, with 6 months in bottle – not necessarily oak maturation. Lugana Vendemmia Tardiva is a rarely produced late harvested, lightly sweet style and I have yet to try one. Lugana Spumante is the sparkling version, but again I have yet to try one. 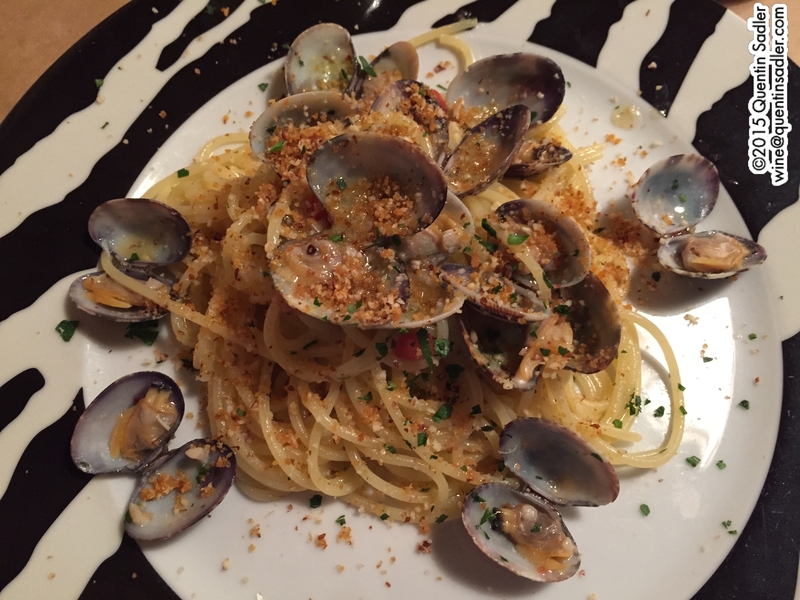 My spaghetti with clams – the red powder is Botargo, which is cured fish roe, tuna in this instance. I ordered a glass of Lugana from Cá Lojera to go with my spaghetti and clams. The waiter brought over the bottle and poured me my glass. I tasted it and that was enough for me to know it was very good, so I asked him to leave the bottle on the table – and I liked it so much I have made it my Wine of the Week. 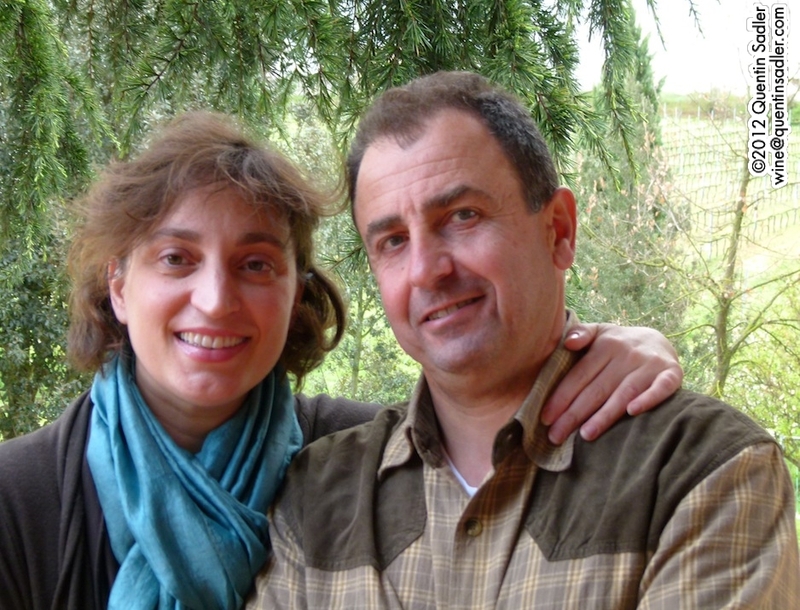 Ambra and Franco Tiraboschi bought this estate in 1992 and by 2008 and they were crafting some of the finest wines in the region and were instrumental – together with others such as Cà dei Frati – in making Lugana a sought after wine rather than just a local drink. They farm 14 hectares and only use their own estate grown fruit and make their whites from 100% Trebbiano di Lugana / Turbiana. There is no oak used on this wine, which is the entry level of the range and is the freshest, simplest wine they make. The wine is bright and lustrous to look at with a pale straw colour. The aromas excited me straight away with fresh apples, a touch of ripe melon, floral notes and a little cream. The palate has just a kiss of weight and texture and there is a lot going on with ripe fruit, apples and melon and a hint of something tropical, together with a salty mineral thing and a seam of fresh, citrus acidity. This is a beautiful wine that cheers the soul and is is very, very drinkable – 91/100 points. If you like wines made from Sauvignon Blanc, Grüner Veltliner, Albariño or Godello then you will certainly enjoy this wine. It was a perfect aperitif and great with my Spaghetti alle Vongole and it would work with all manner of fish and poultry dishes too, even veal and pork and would be a good foil to lightly creamy sauces. Available in the UK for around £17.00 per bottle, from Vinoteca, Buon Vino and Bottle Apostle. Available in the US for around $17.00 per bottle – for stockist information, click here. Wine of the Week 66 – a light, bright red or a deep rosé? I got very excited by this wine. The look of it really attracted me, it just looked so bright and refreshing. The only trouble is, I could not quite work out what it was, it sort of looked liked a rosé, although in truth the colour was a bit deep. What’s more the label said it was a red wine – so who knew. In the end I just decided to taste it – and I am glad I did, because it was so delicious I made it my Wine of the Week. The wine is made by my friends Eva and Leonardo Beconcini at their family winery in Tuscany. The estate is called Pietro Beconcini and they make superb wines that never fail to impress me. This was the latest addition to their range and I am so glad that I was able to taste it. Wine Map of Tuscany click for a larger view. 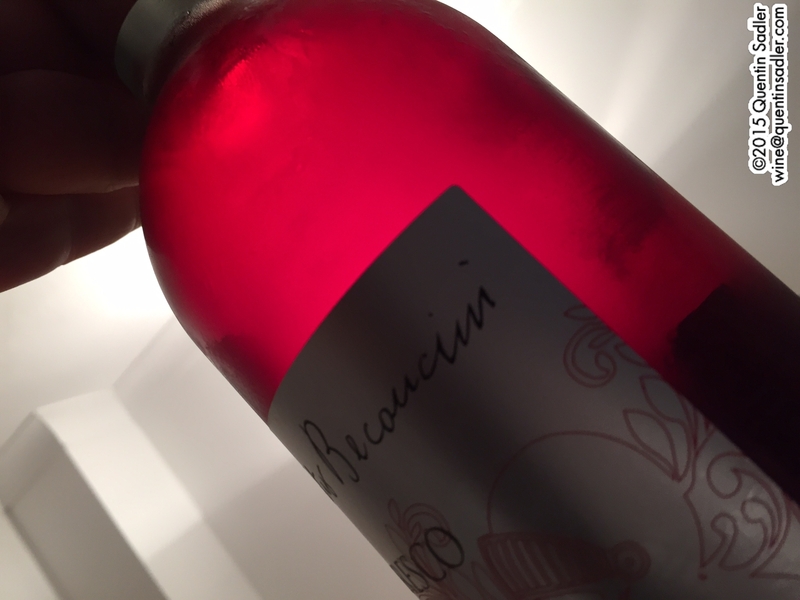 Pietro Beconcini makes Chianti, but they also have a secret weapon. They grow a grape that is either unique to them in Tuscany, or no one else has discovered that they grow it. As well as Sangiovese, they grow Tempranillo – the Rioja grape – and have done for generations, although they only discovered what the grape was in the last 20 years or so. It is a great story and you can read all about in this piece I wrote about my visit to them. 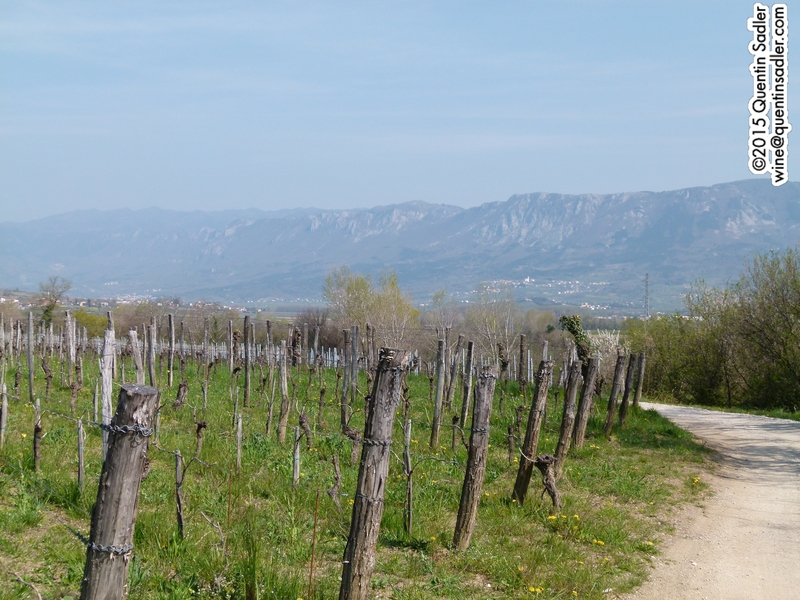 The lovely vineyards at Pietro Beconcini. Their new wine is a light red, or a deep rosé depending on your pointy of view, that they recommend serving chilled – which I did. The wonderfully vibrant colour of Fresco di Nero. This wine is a fascinating style and is made from early harvested Tempranillo grapes – picked in August in fact, their Tempranillo is usually picked in mid September. The wine undergoes a col fermentation in glass lined concrete vats and is aged on the lees in the same tanks for 4 months. A vivid deep, but bright and concentrated strawberry red with a subtle tinge of orange. The nose blasts soft red fruit, orange peel and blood orange aromas together with a touch of enticing spice. The palate is fresh and generous with a creamy texture and a touch of smoke from the 4 months on the lees I expect, even a little savoury, ready, stuffing character to the mid palate. The orange and orange peel and the red fruit, strawberry, cranberry and cherry all vie with each other for the centre spot on your palate giving a fresh fruit crunch and there is a nice freshness of acidity keeping the wine lively. You can serve this as an aperitif, treating it as a serious rosé or with food as an excellent light red. Whether it’s a red or a rosé, it is surprisingly complex, quite delicious and very drinkable – 90/100 points. I enjoyed it with charcuterie, but can imagine it works with almost anything and whatever you have it with, this is a wine to be enjoyed.